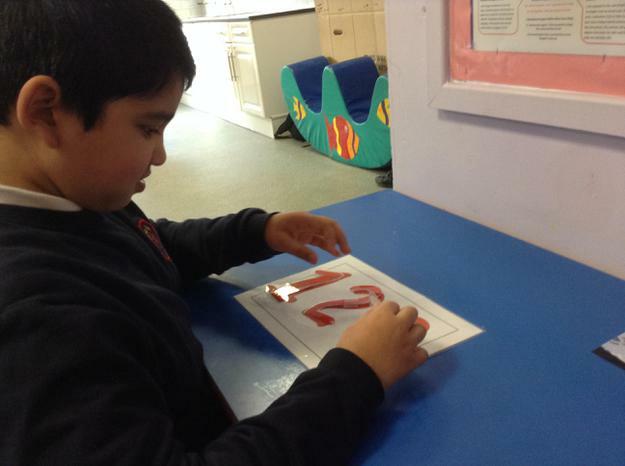 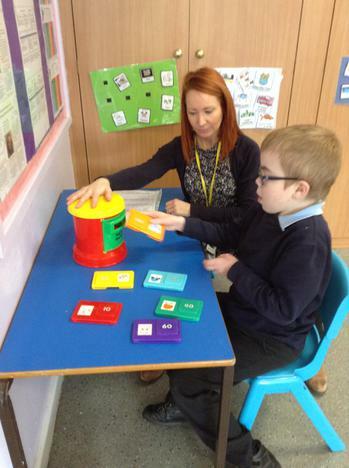 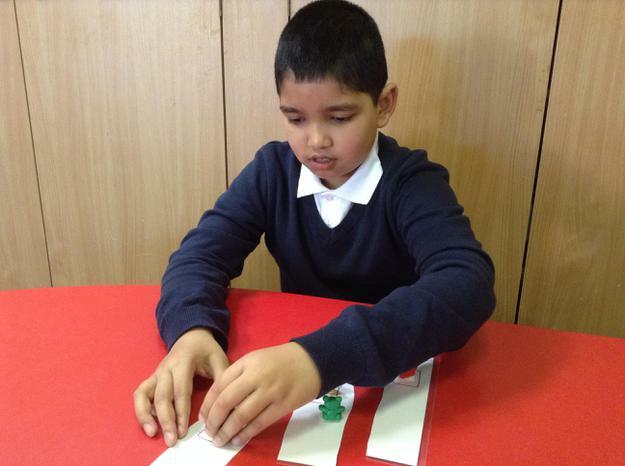 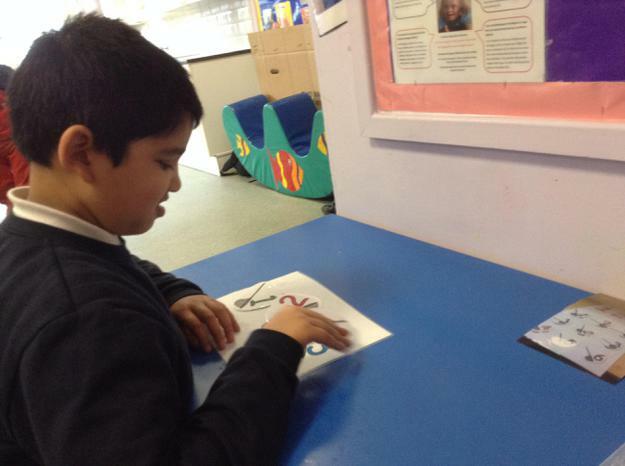 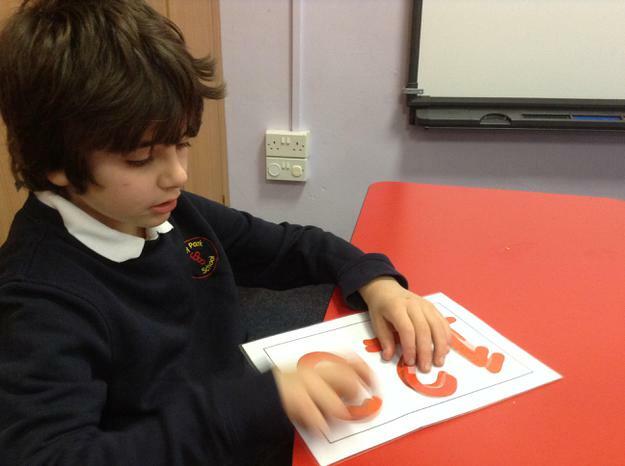 This term in maths we have been developing our awareness and use of numbers through a range of contexts. 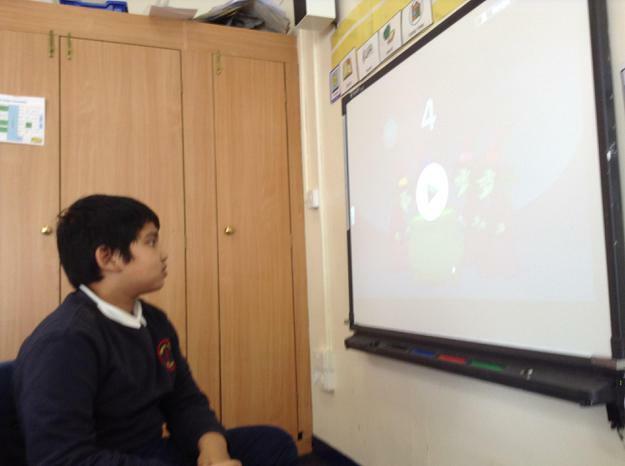 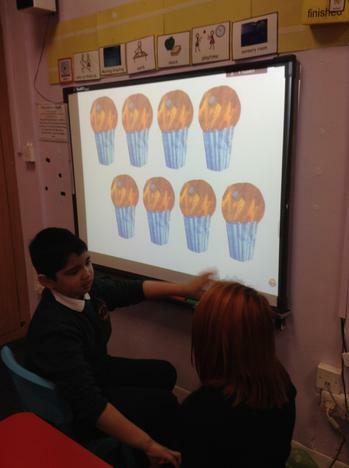 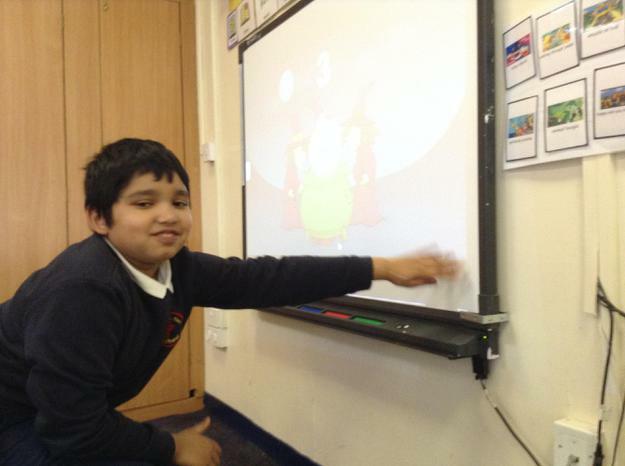 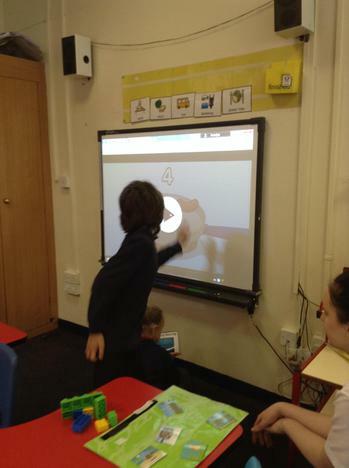 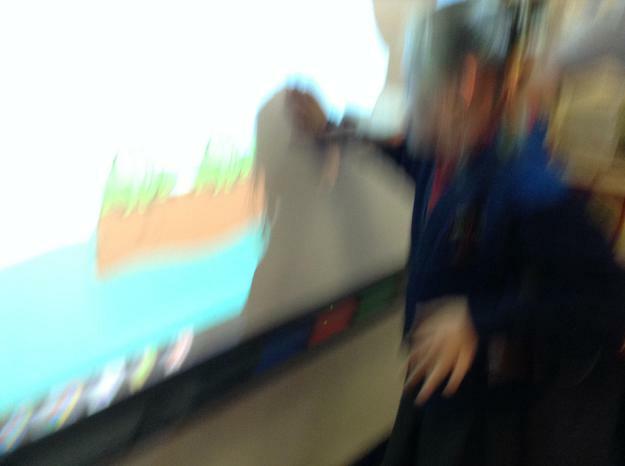 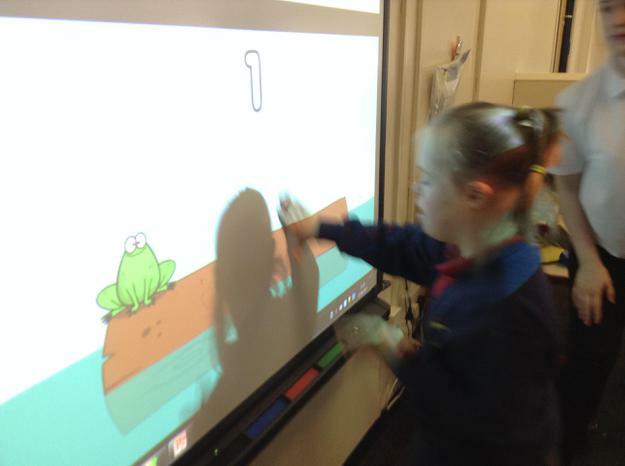 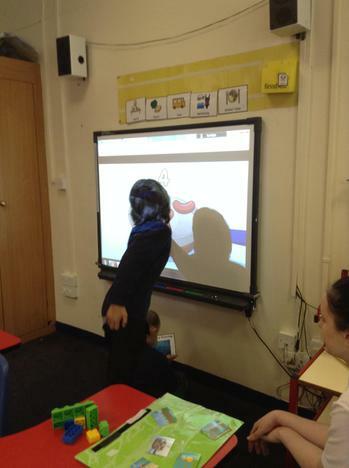 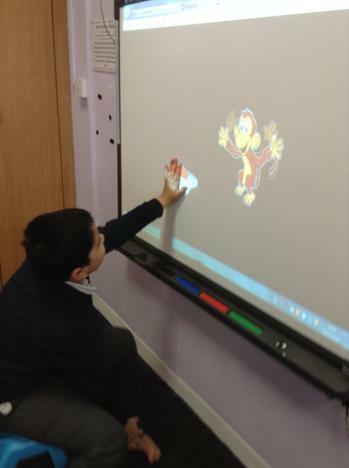 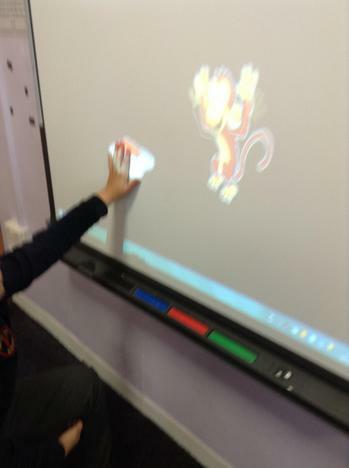 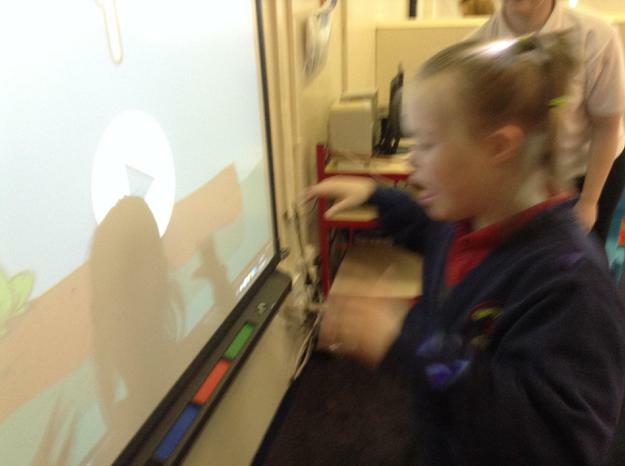 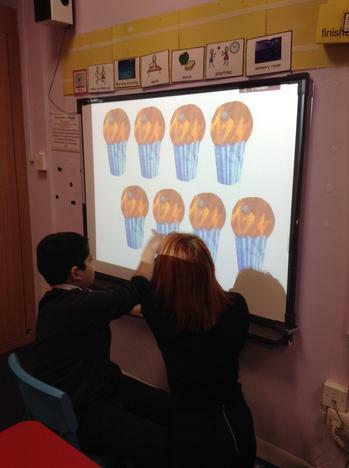 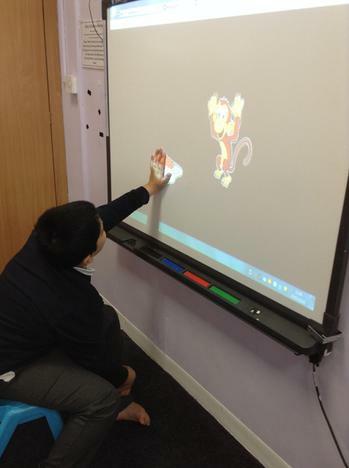 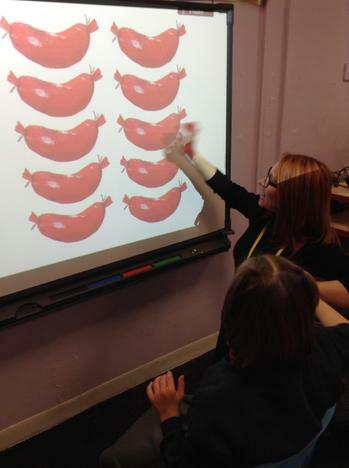 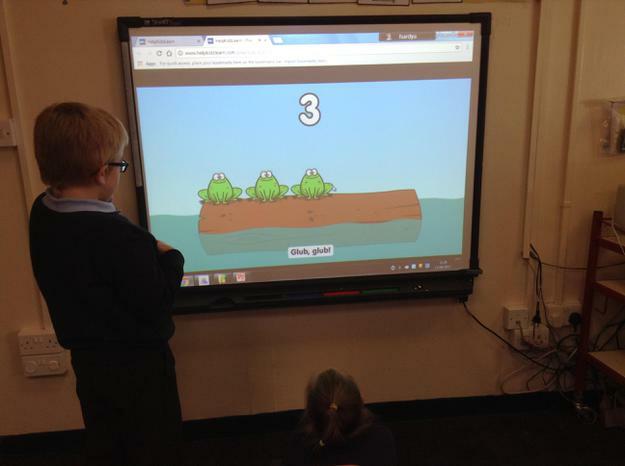 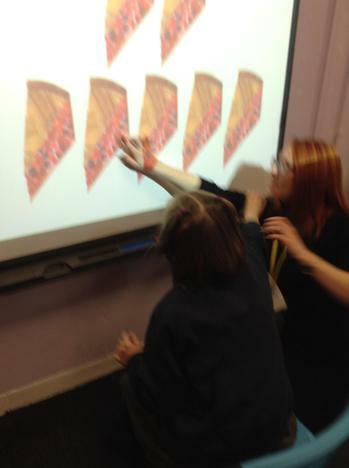 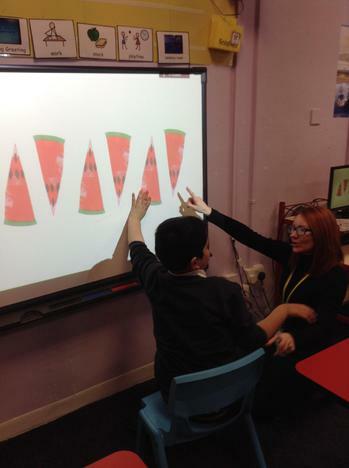 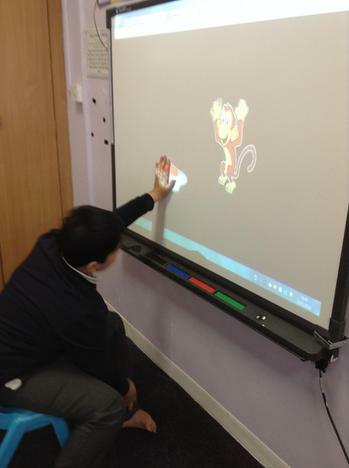 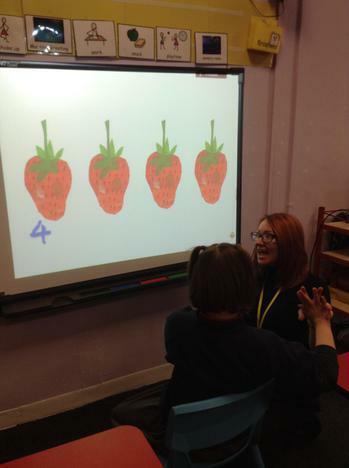 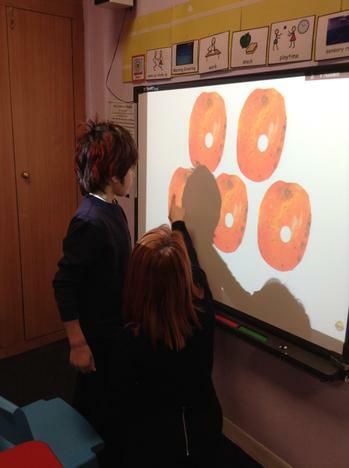 We have enjoyed counting games on the interactive whiteboard linked to the Hungry Caterpillar story. 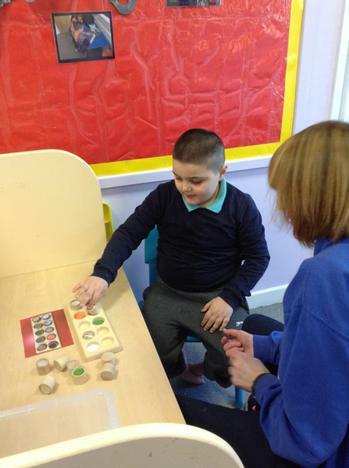 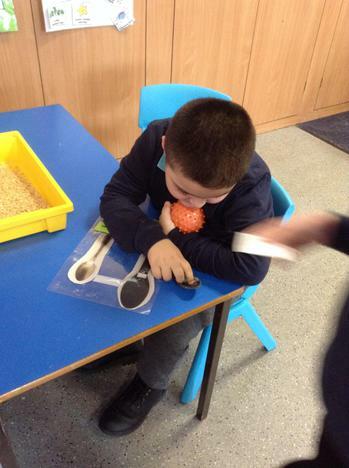 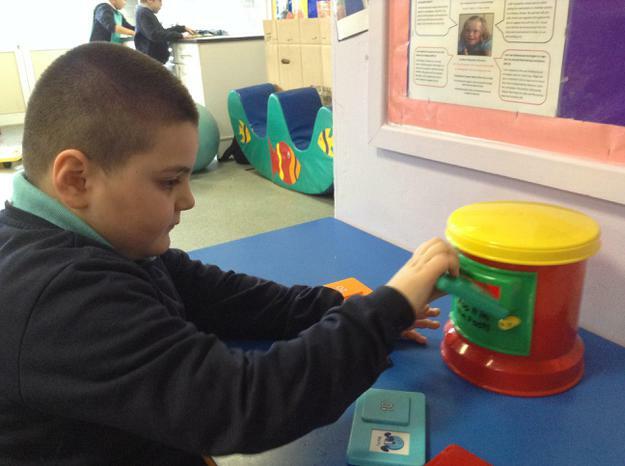 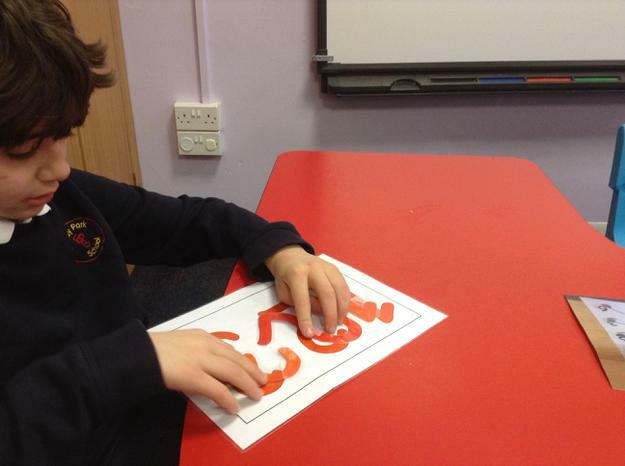 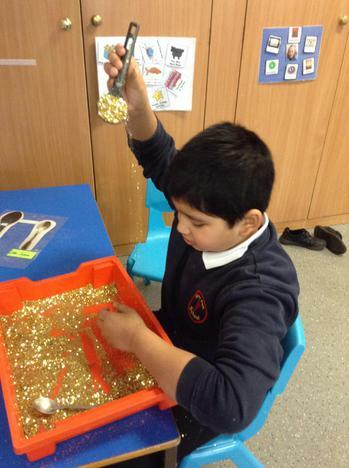 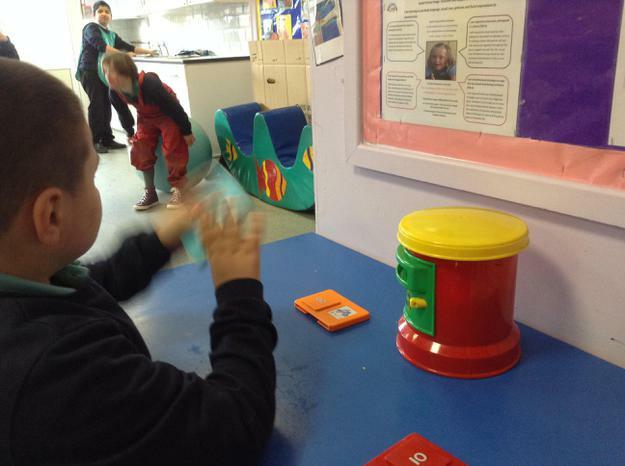 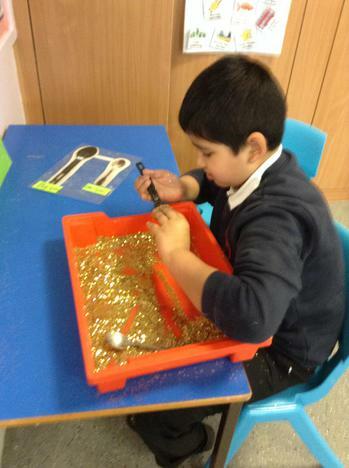 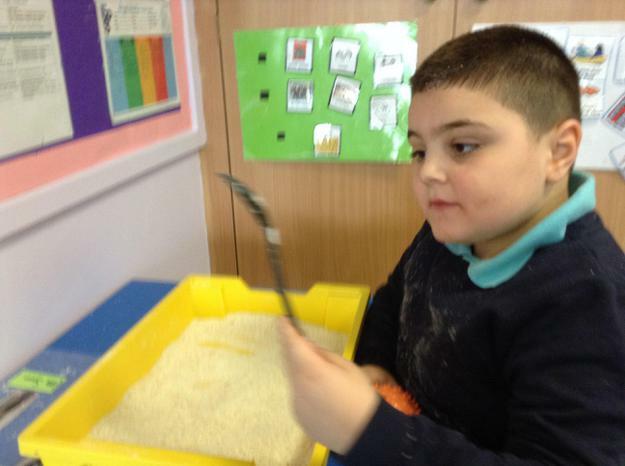 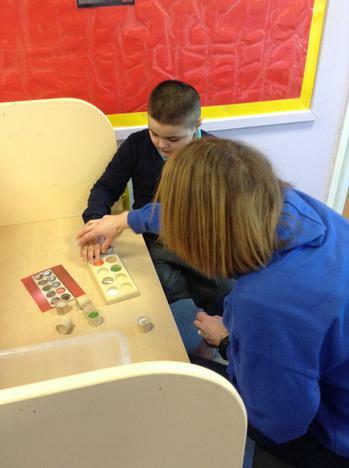 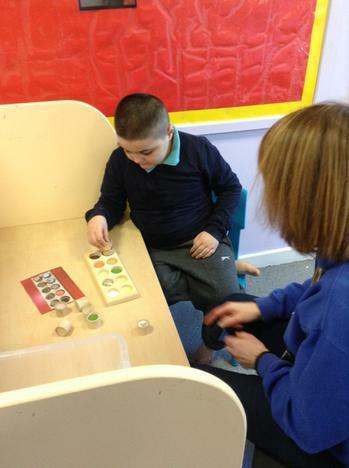 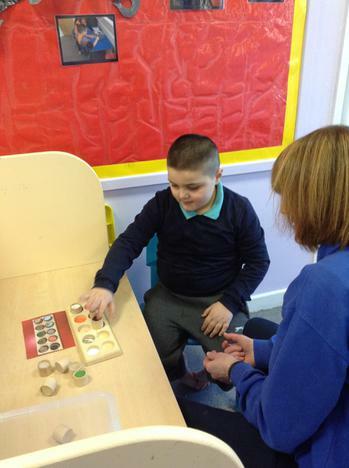 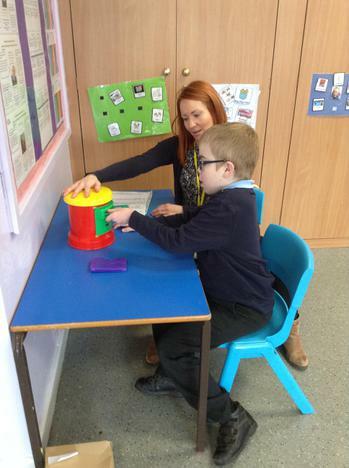 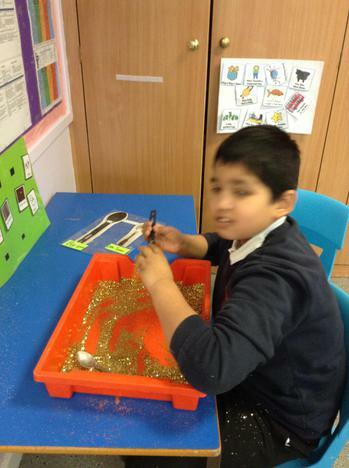 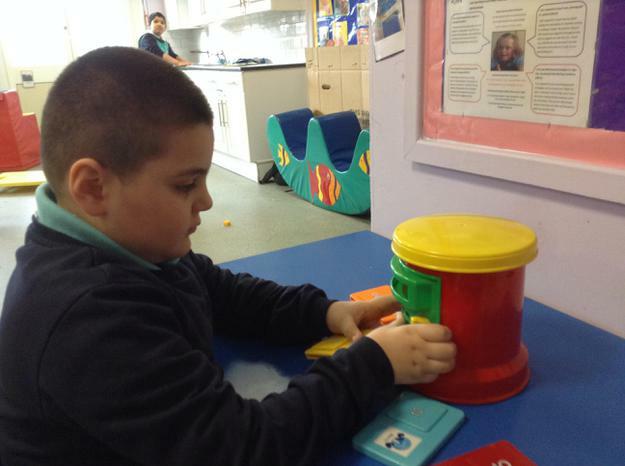 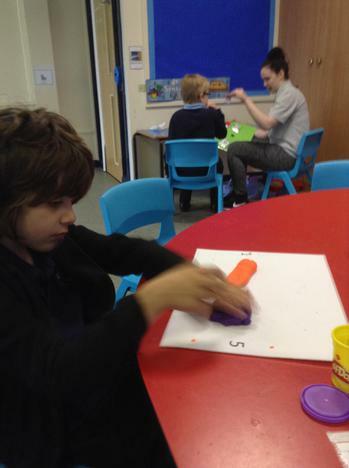 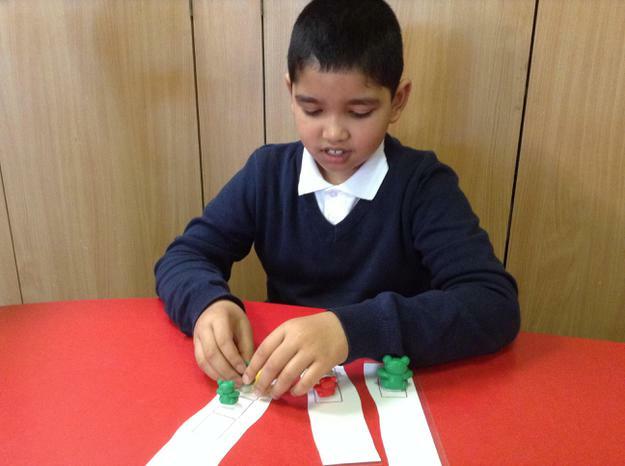 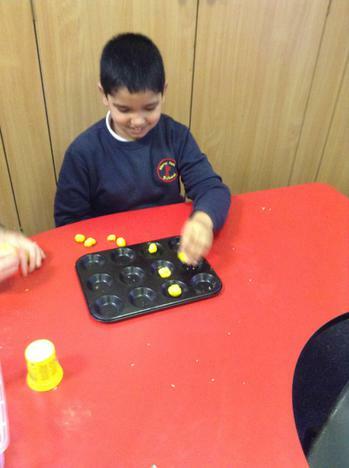 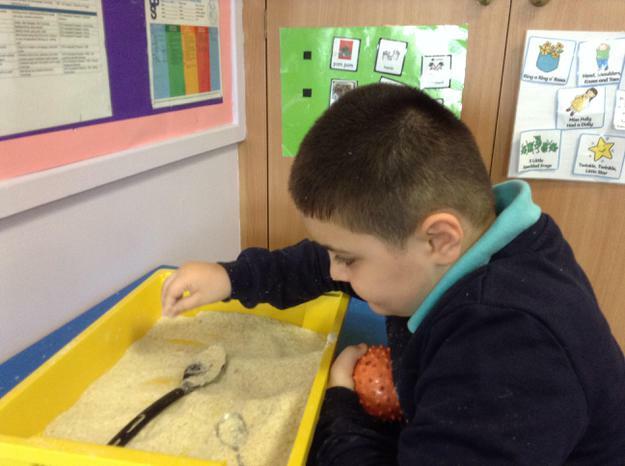 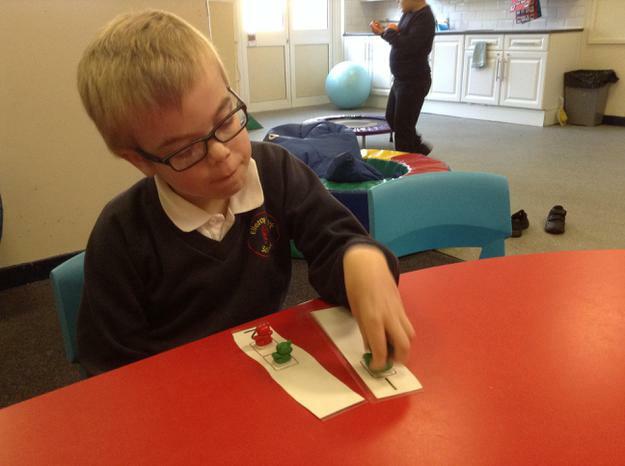 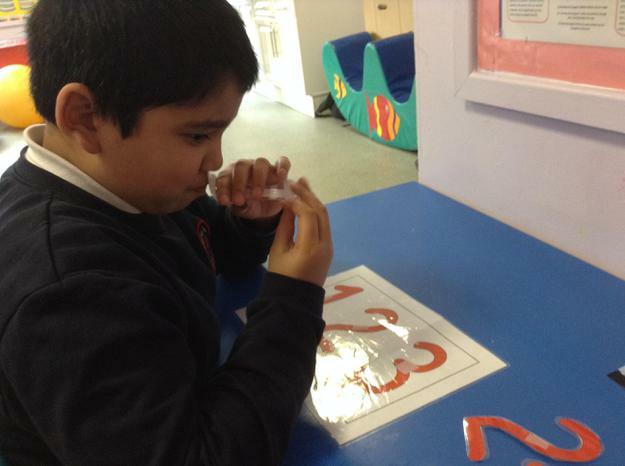 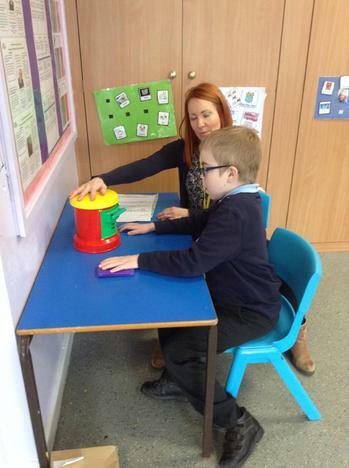 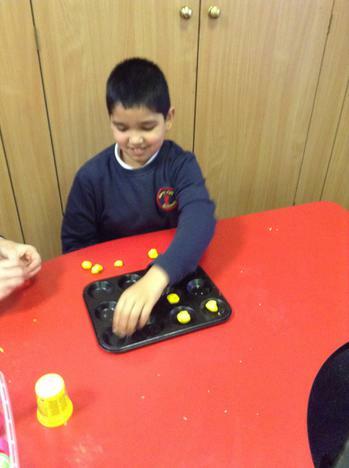 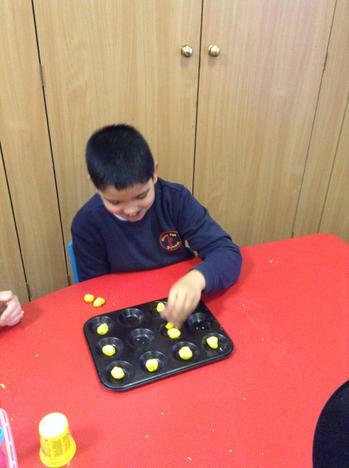 We have also enjoyed counting activities using toys such as the postbox and counting beads. 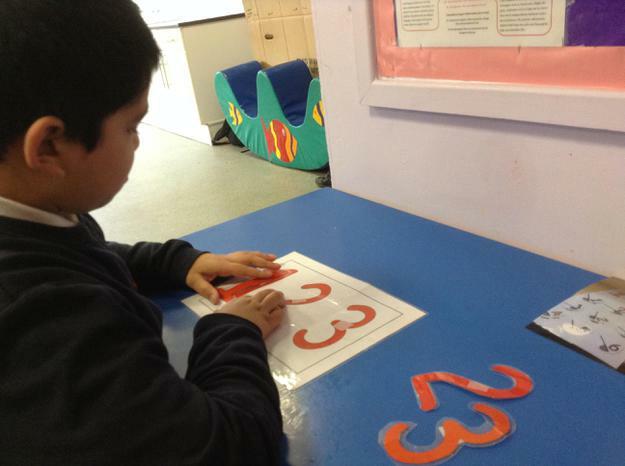 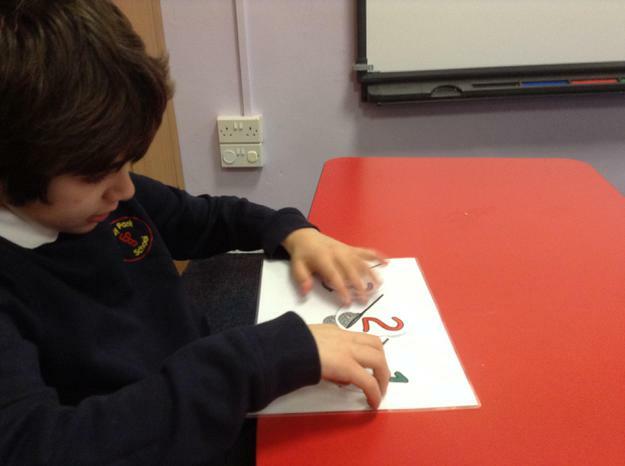 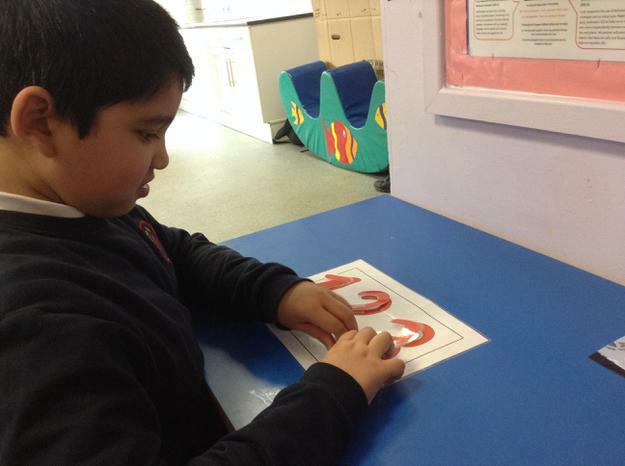 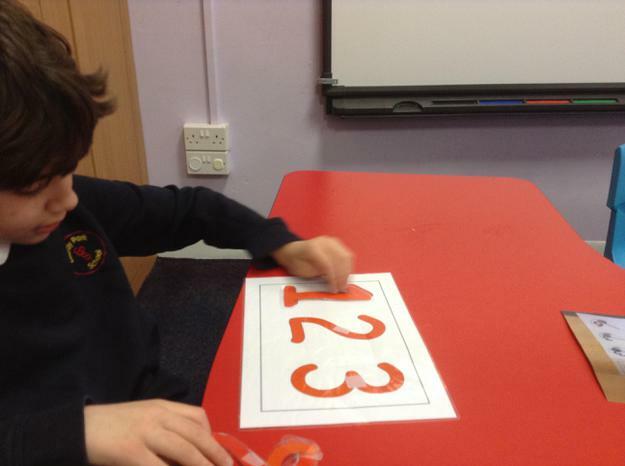 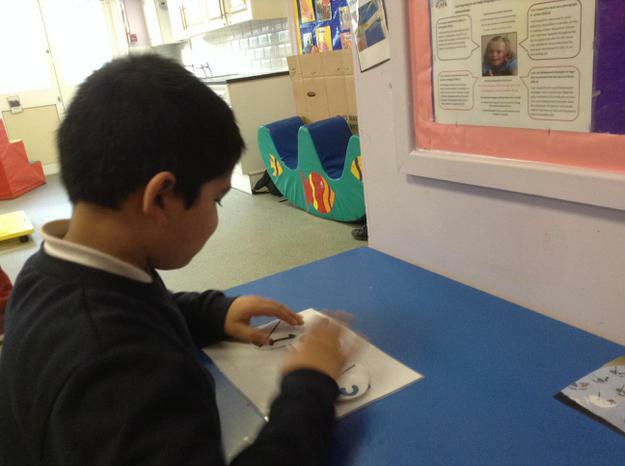 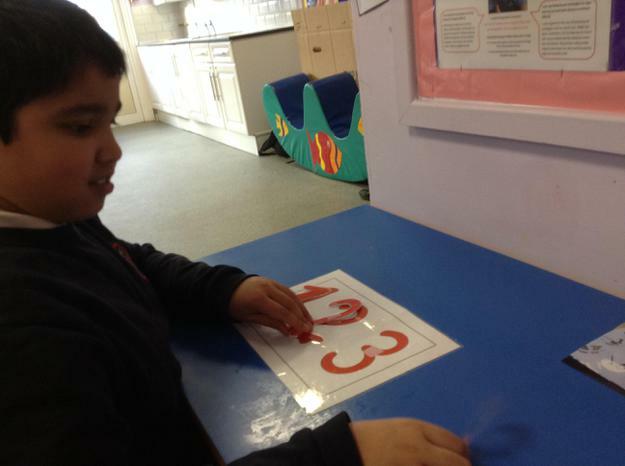 Some of us have also been working hard learning how to match numerals. 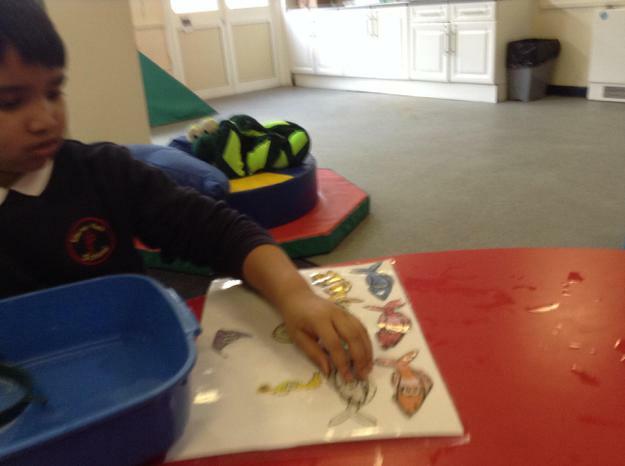 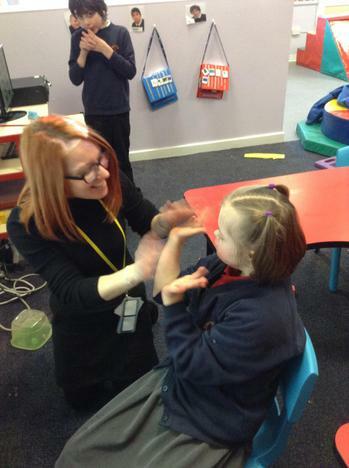 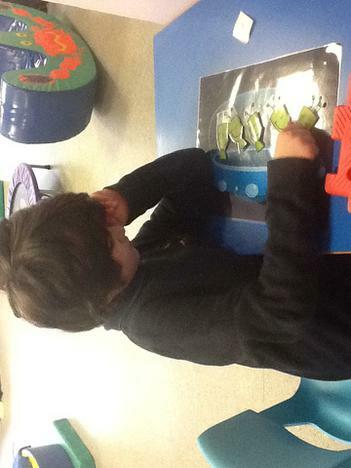 During alien week we also listened to and interacted with the '5 little men' counting song. 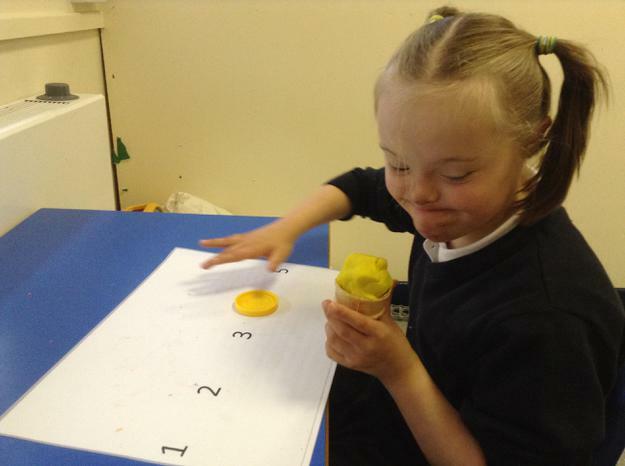 The children are beginning to show recognition during the sequence of counting and some of them have been repeating number names which is excellent progress! 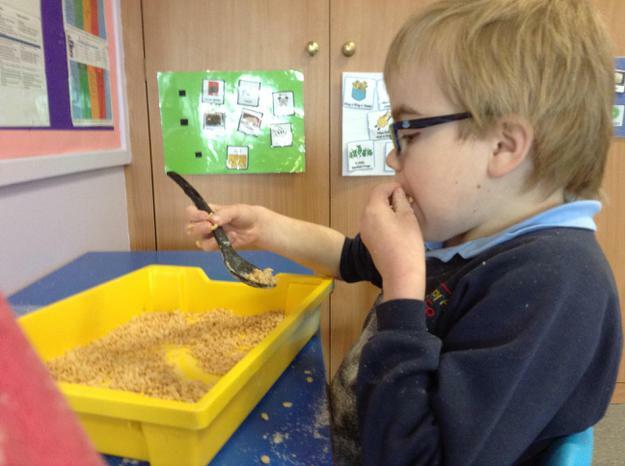 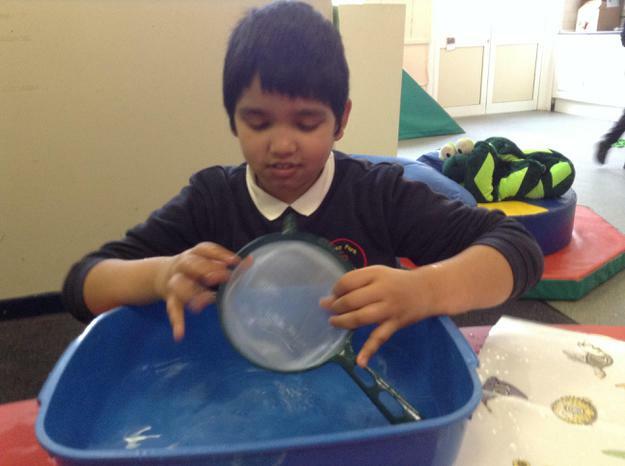 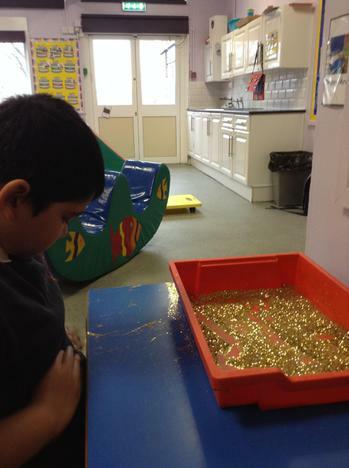 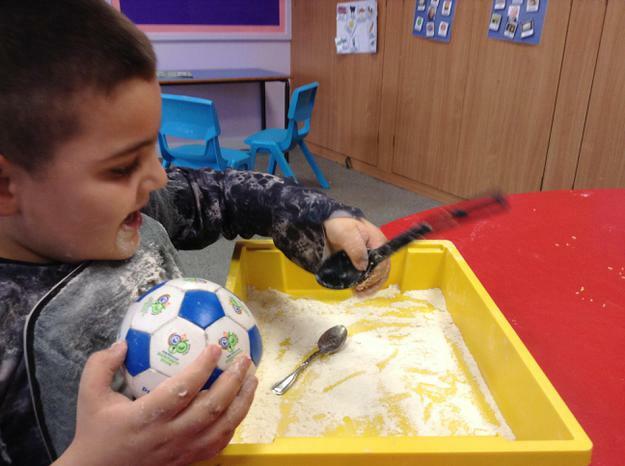 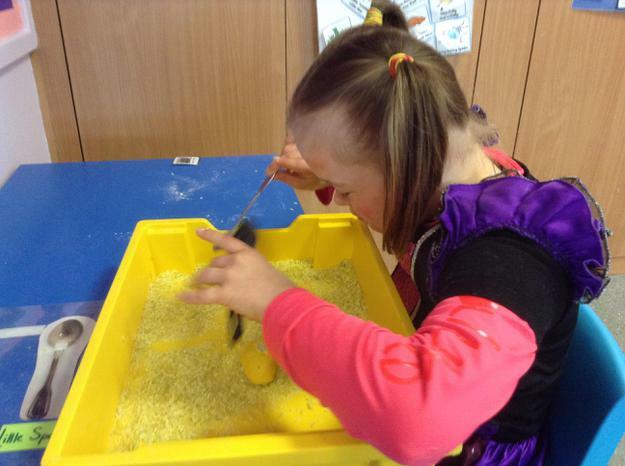 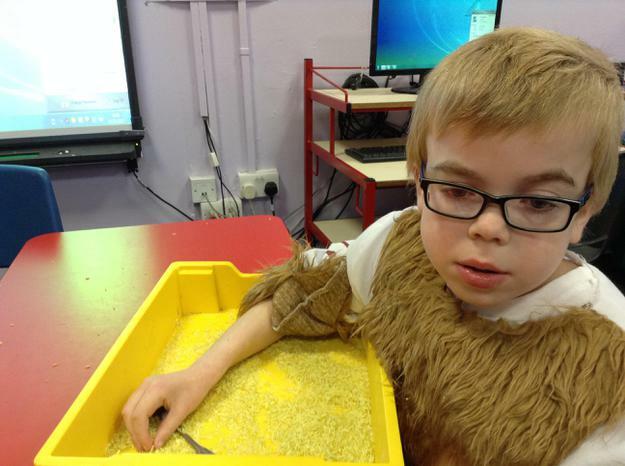 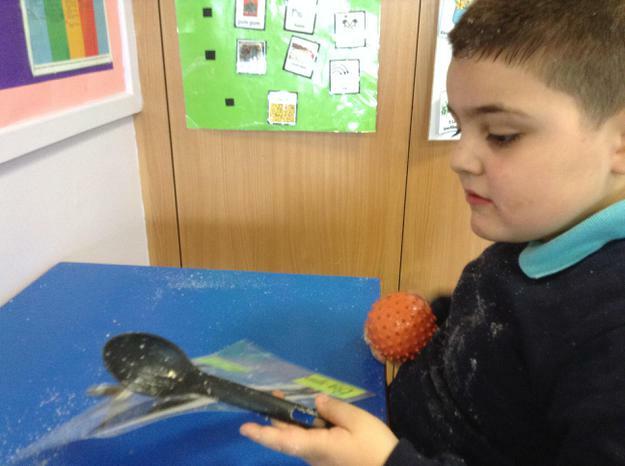 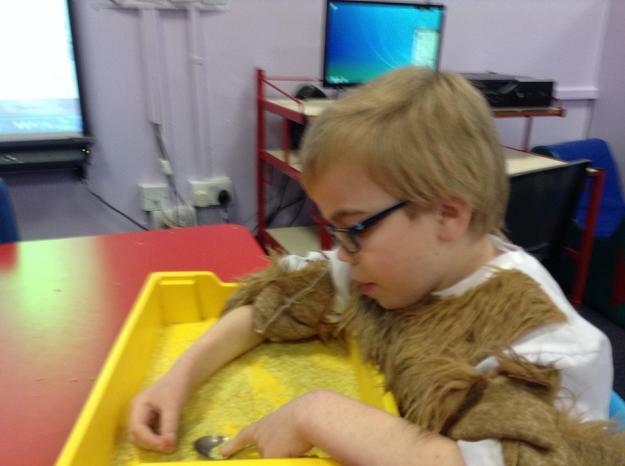 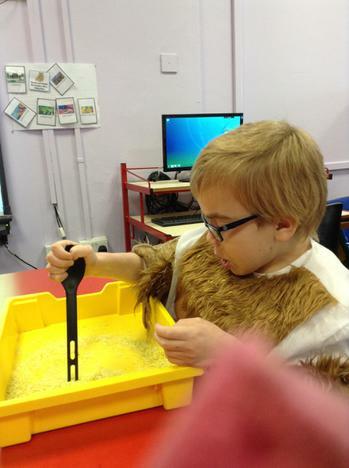 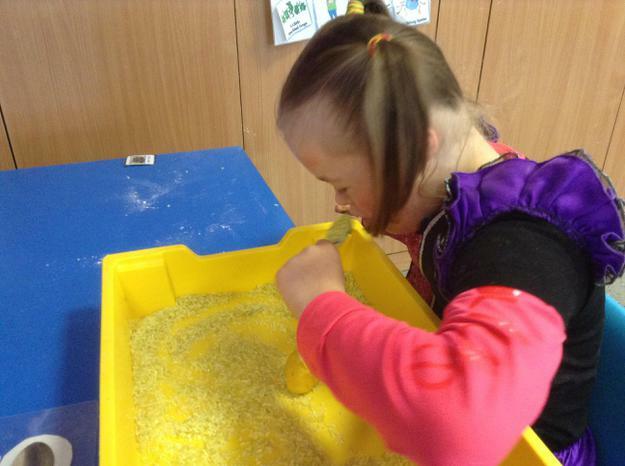 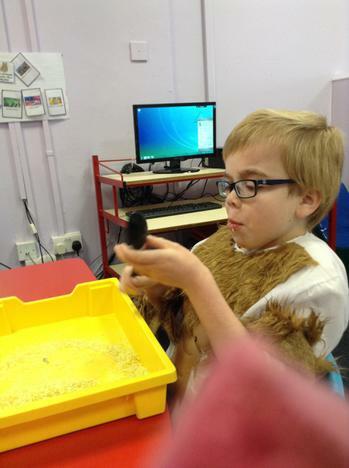 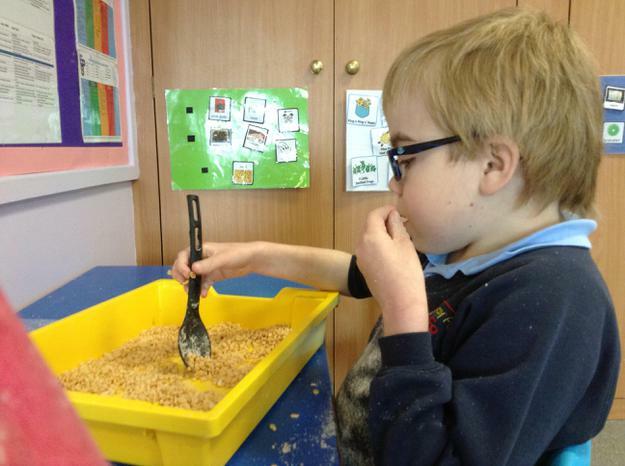 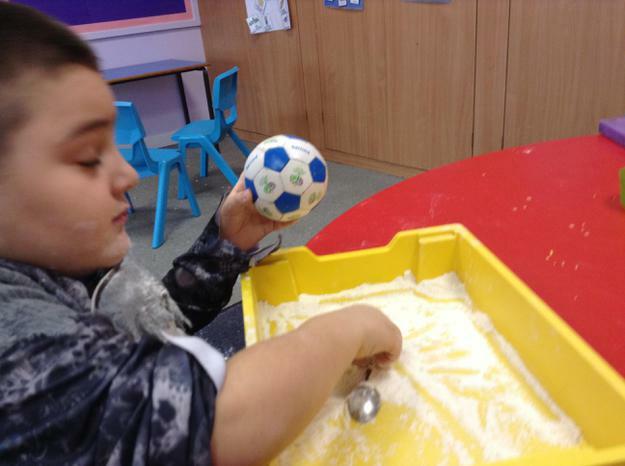 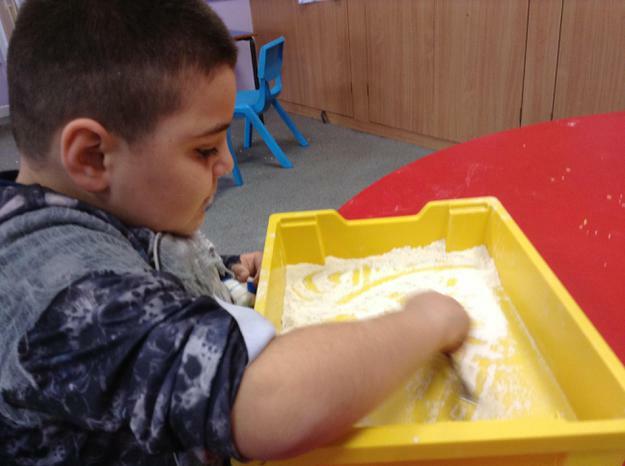 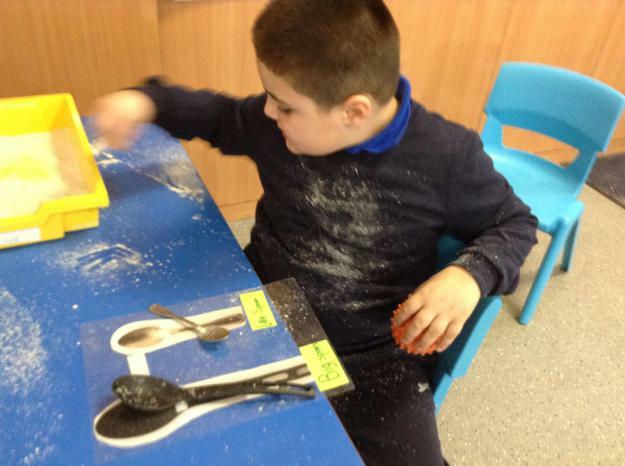 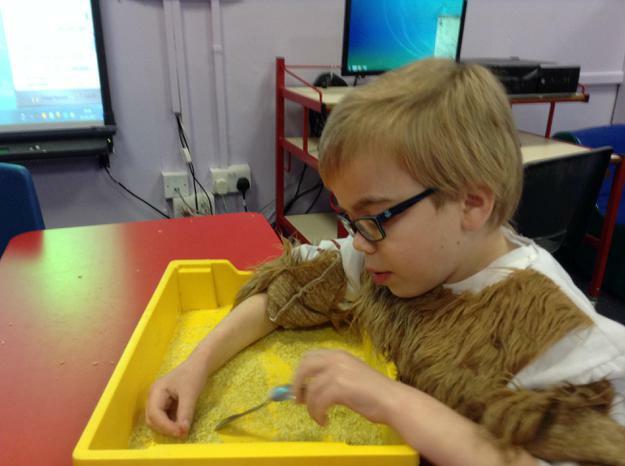 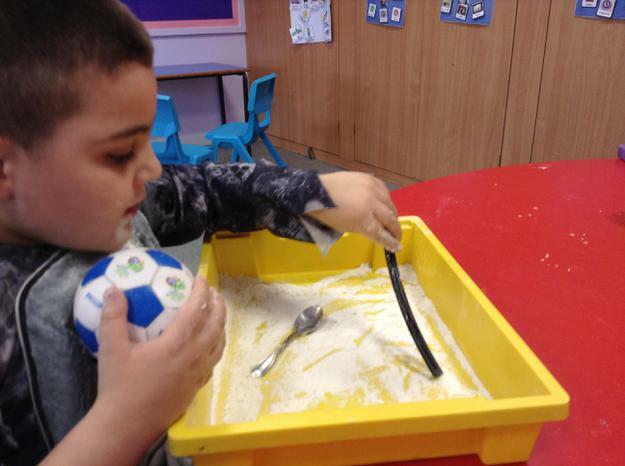 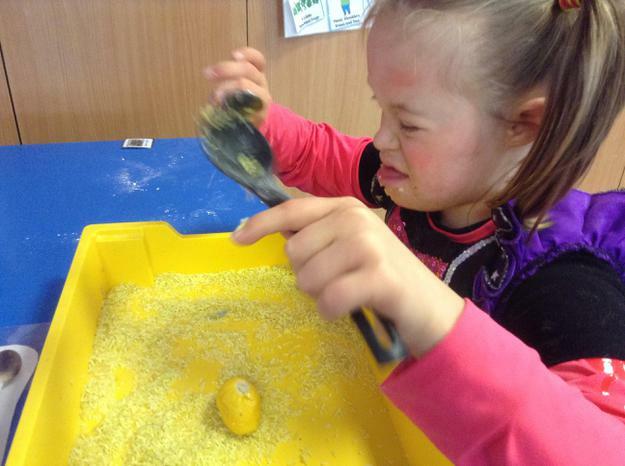 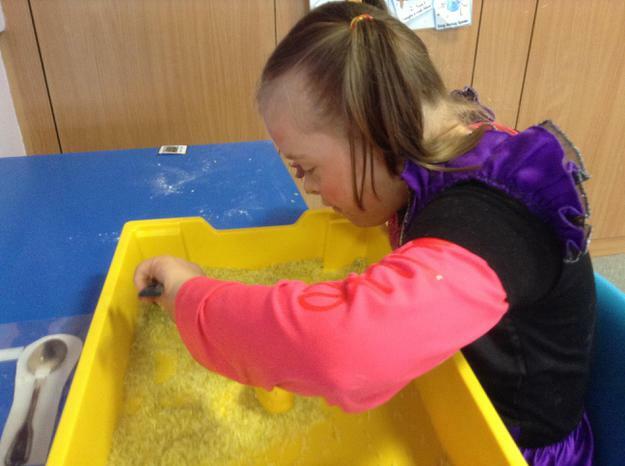 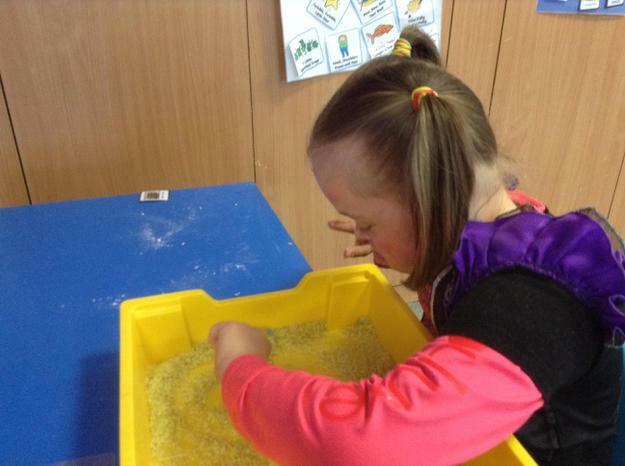 This term in maths our focus is on recognising big and small objects and we will be doing through this through a range of different sensory activities, such as using big and little spoons and cups during sensory play in the child's preferred sensory stimuli such as flour, glitter, cereal, porridge oats or water beads. 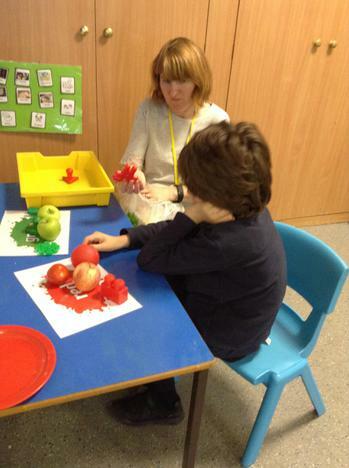 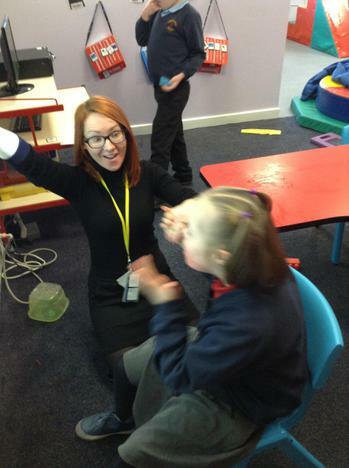 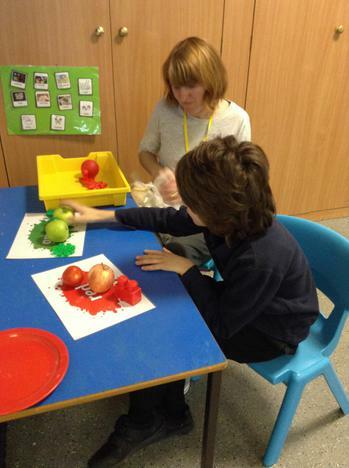 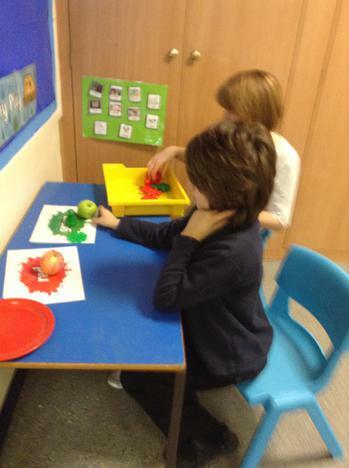 We will also be learning about big and small through everyday objects and activities such as playing with big and small lego or having a choice of a big piece of apple or a small one at snack time. 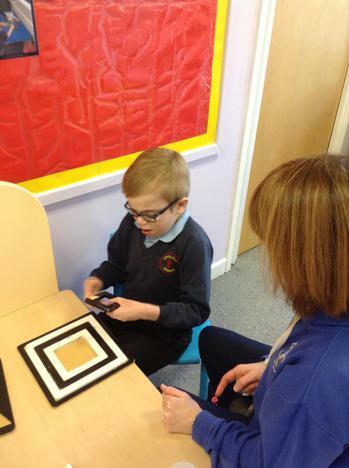 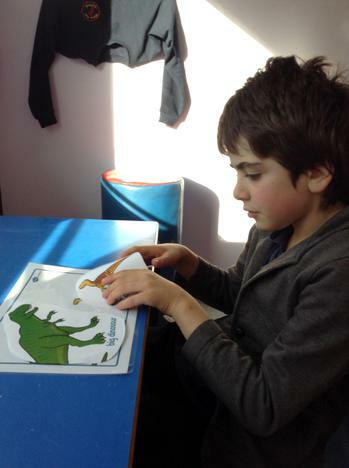 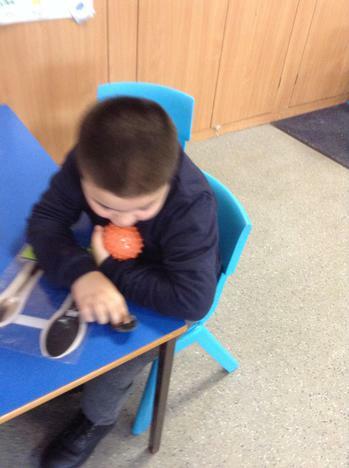 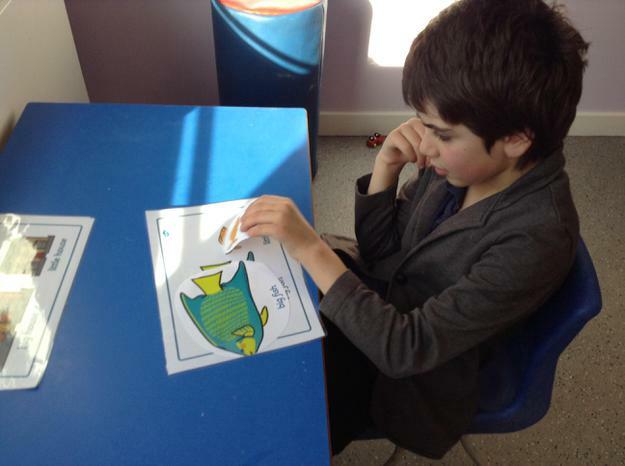 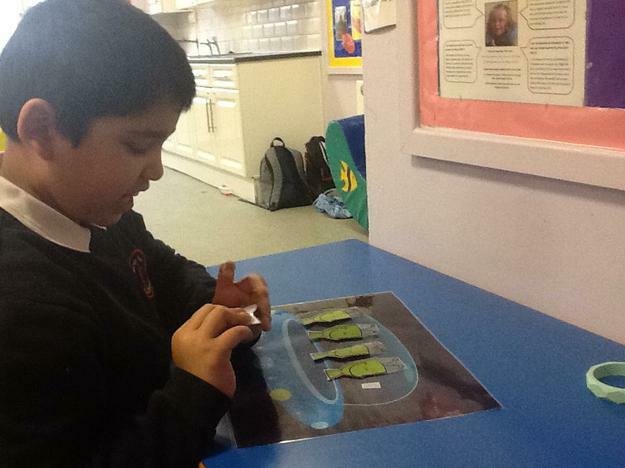 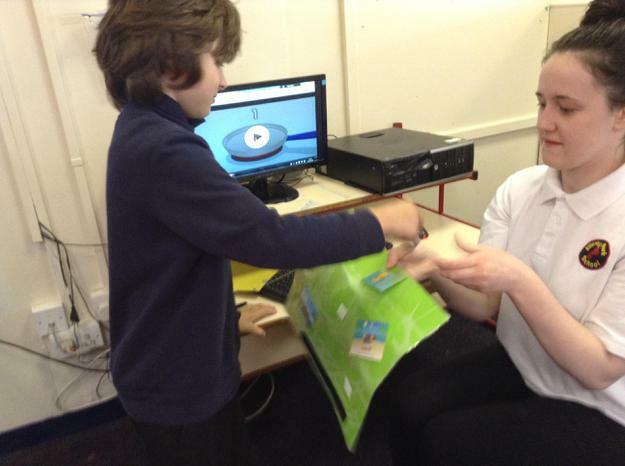 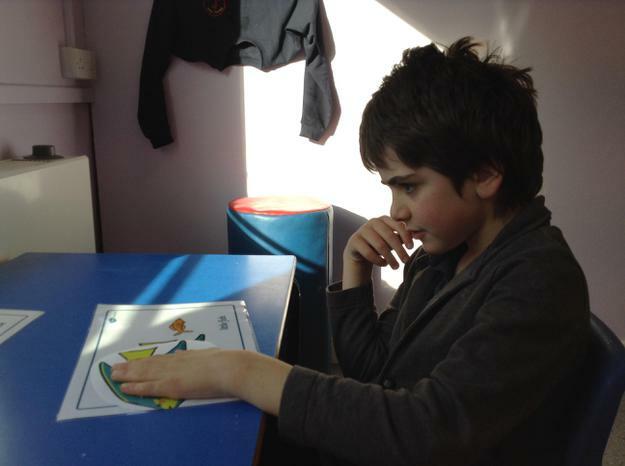 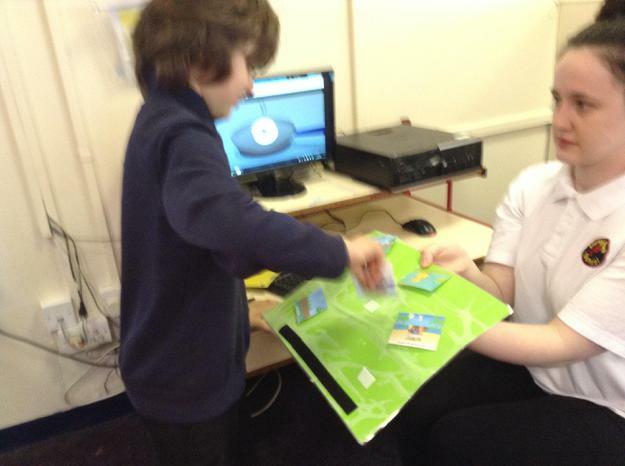 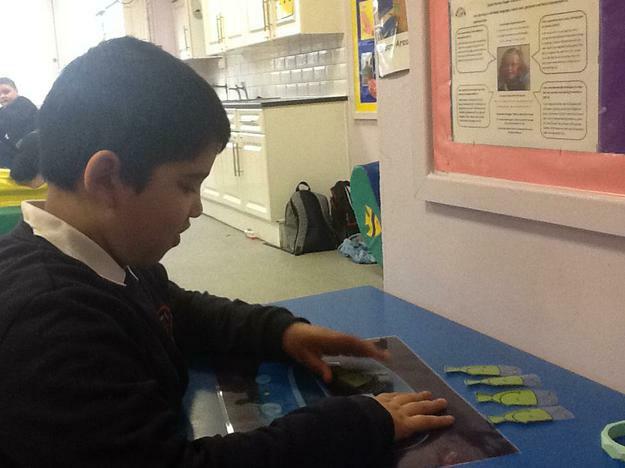 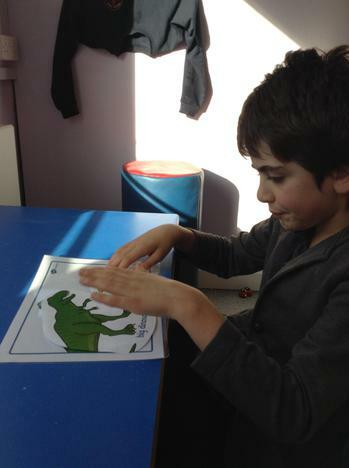 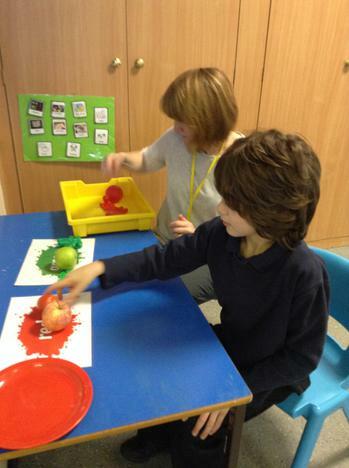 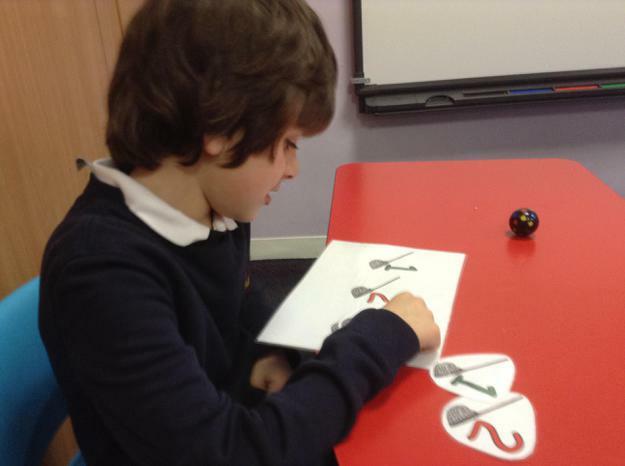 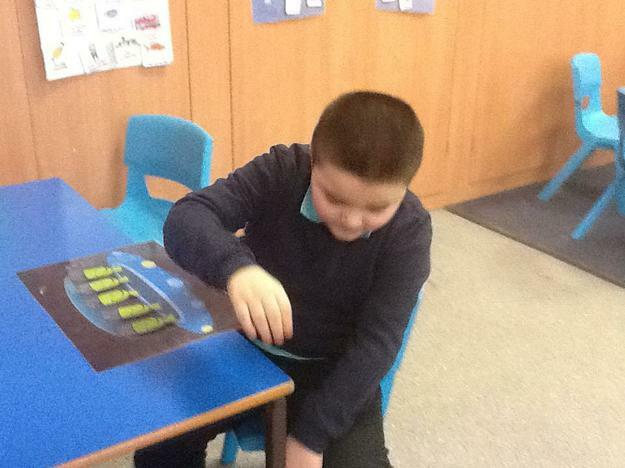 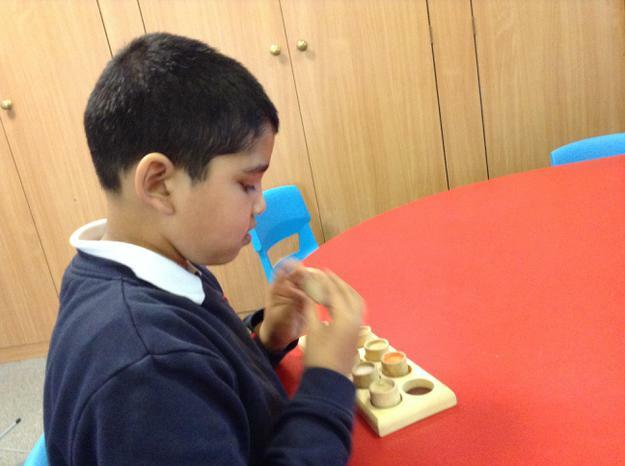 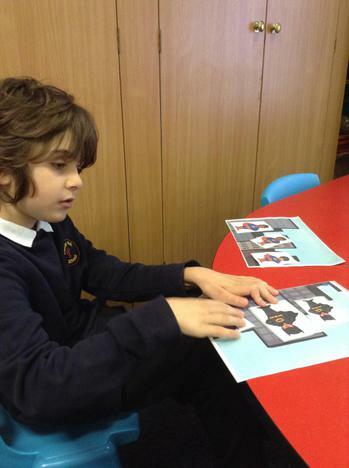 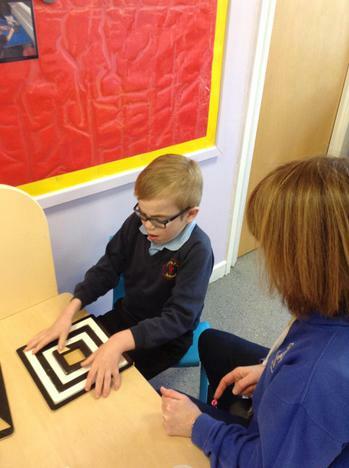 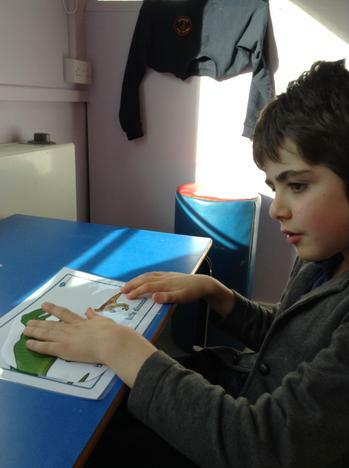 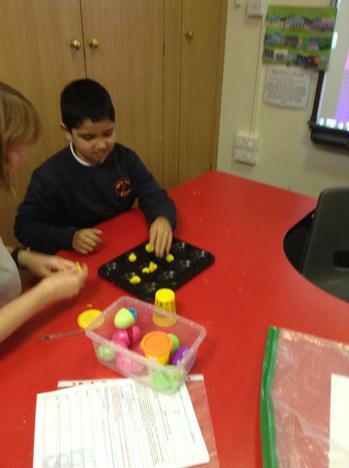 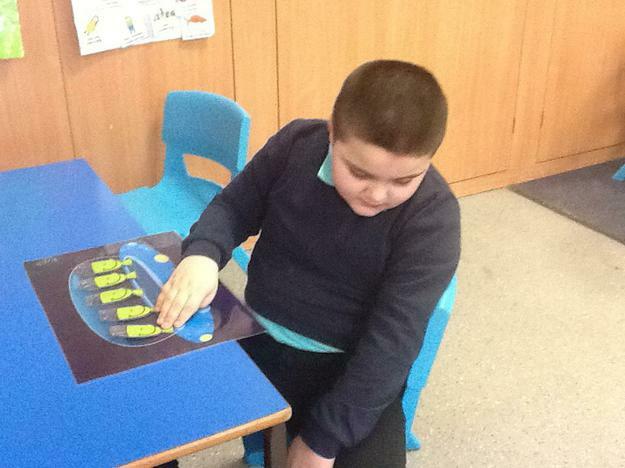 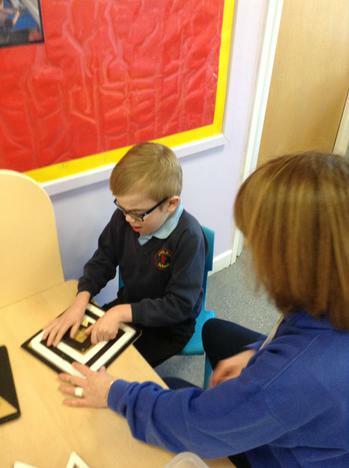 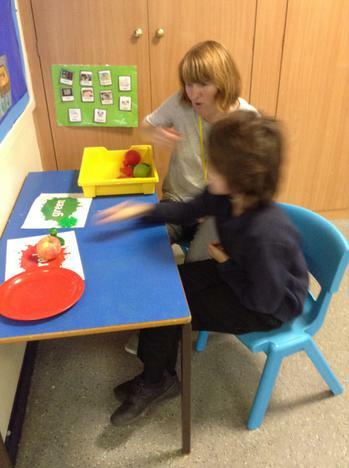 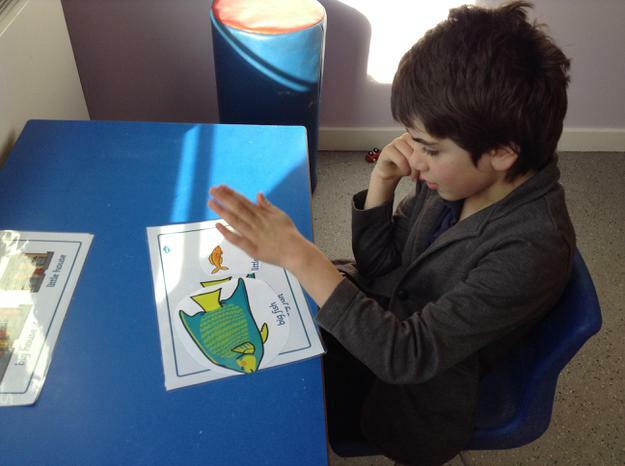 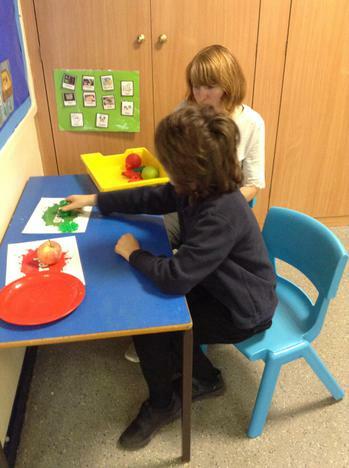 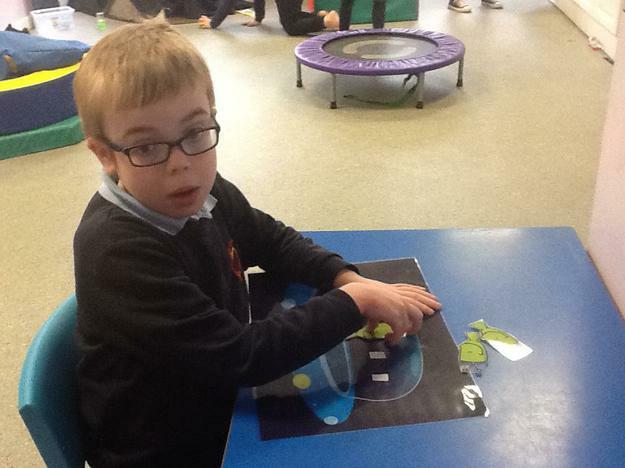 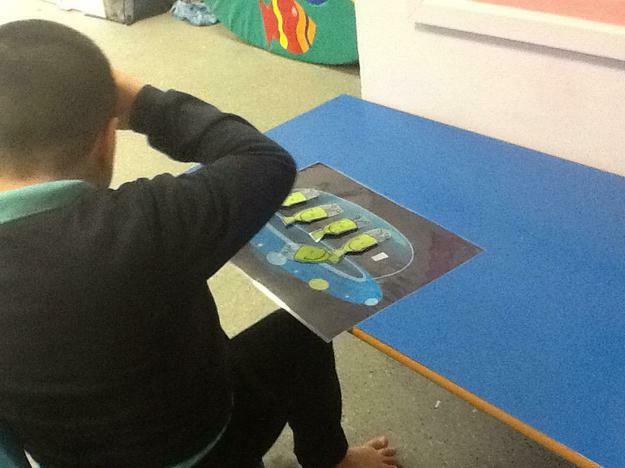 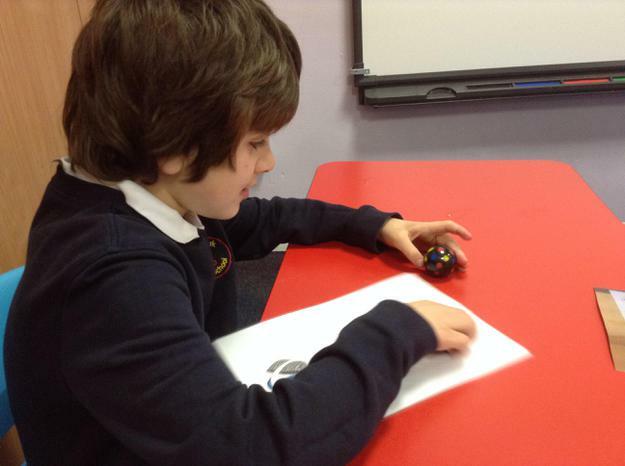 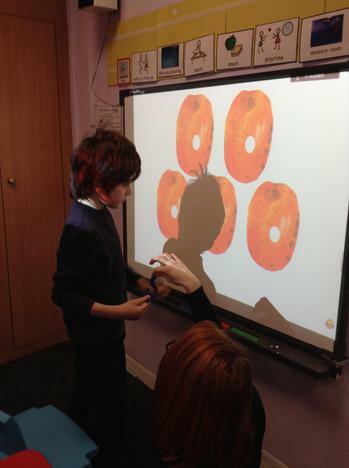 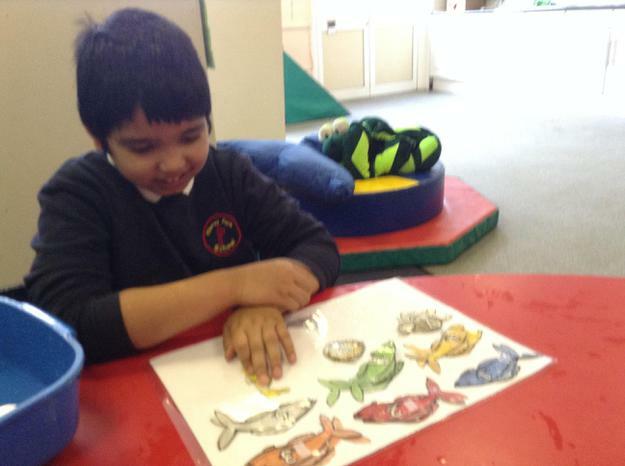 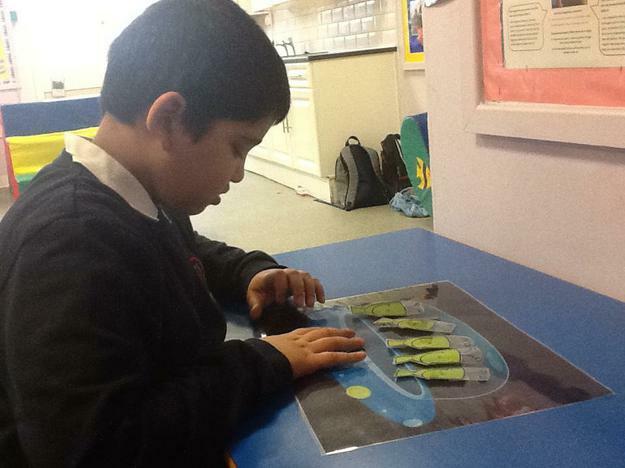 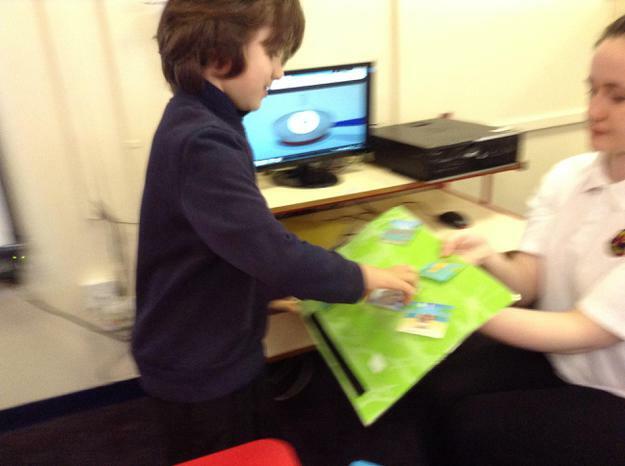 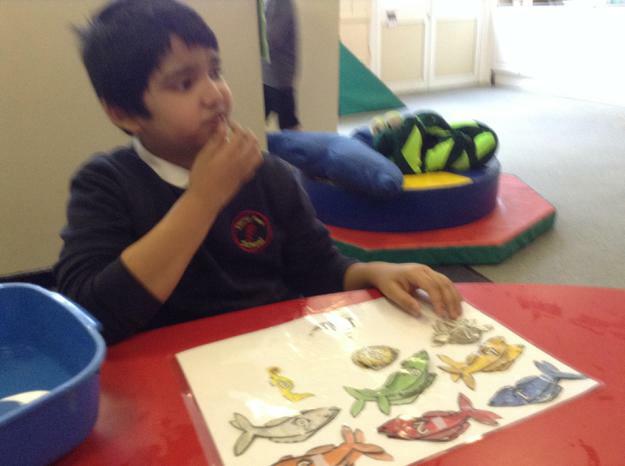 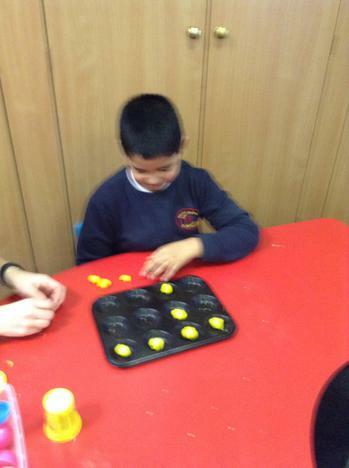 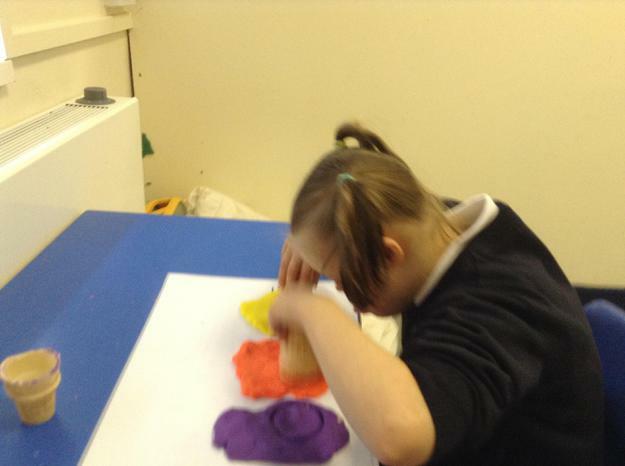 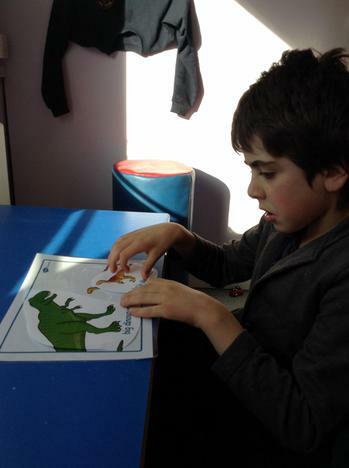 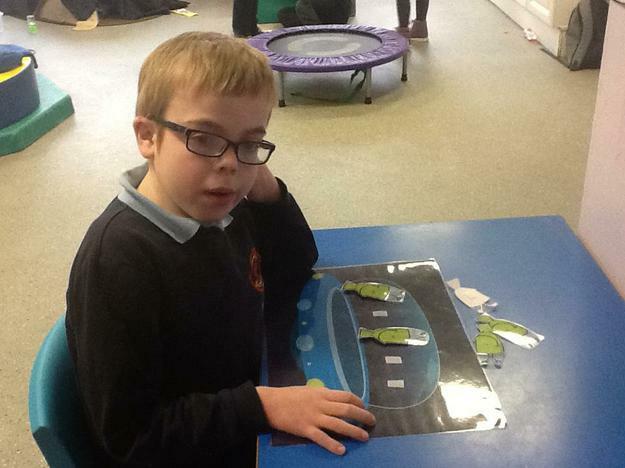 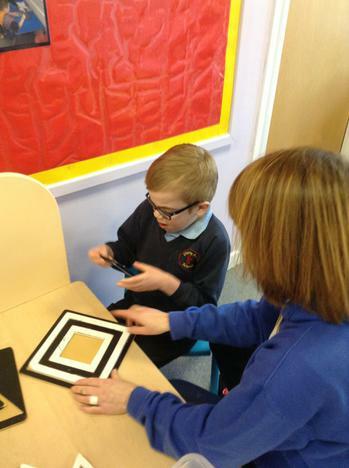 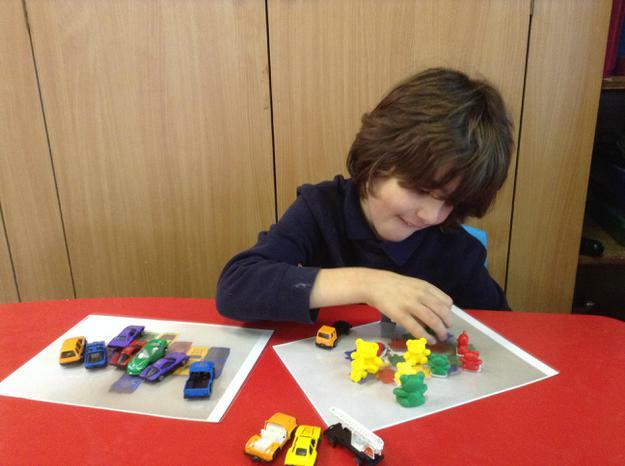 Some of us will also be matching objects and pictures according to different properties such as size, shape and colour. 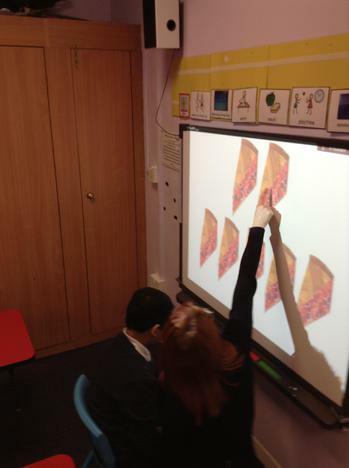 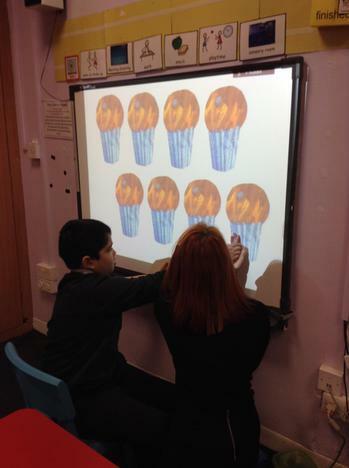 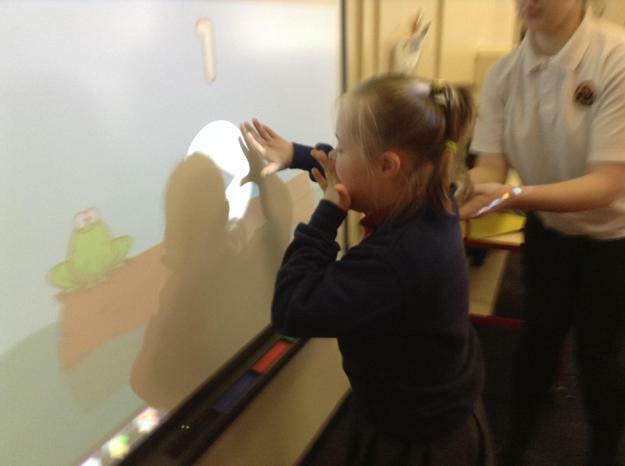 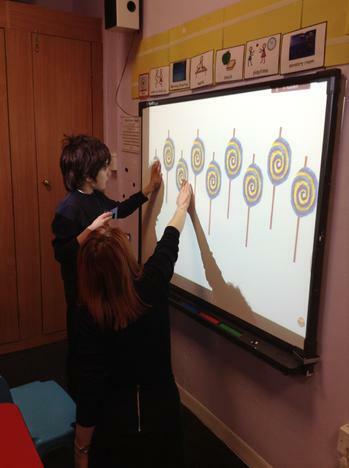 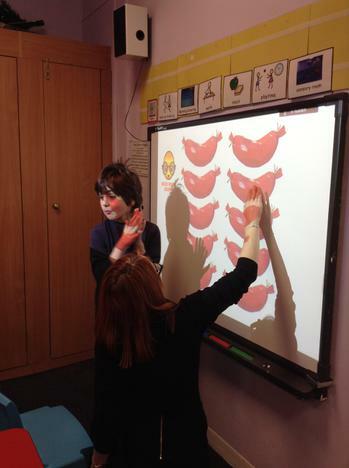 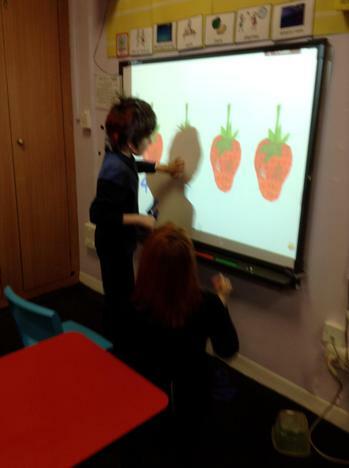 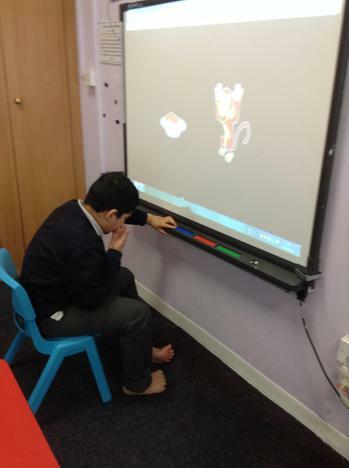 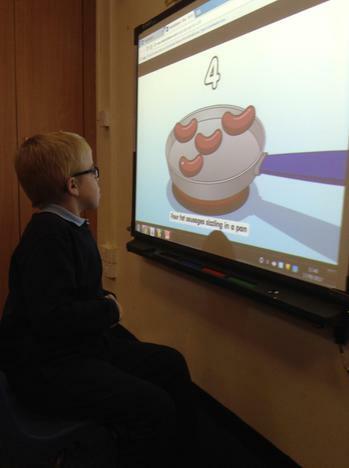 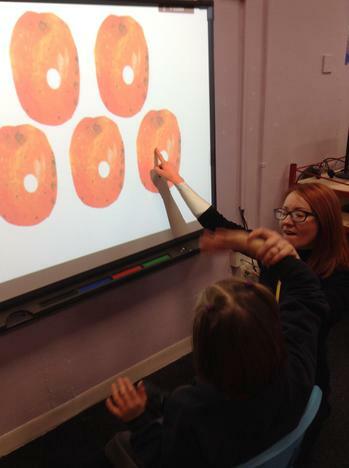 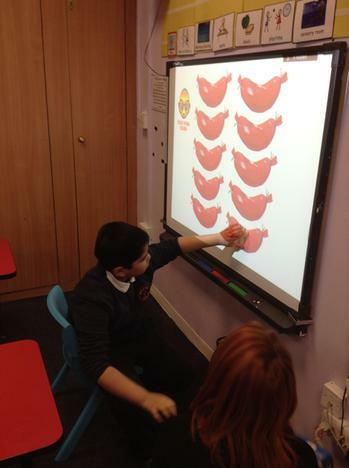 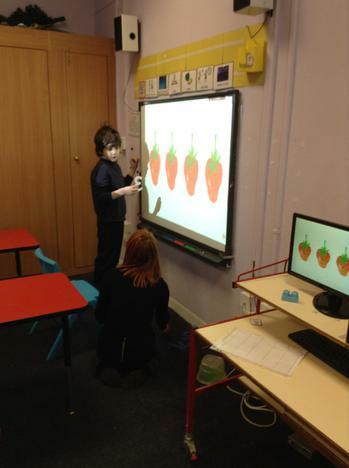 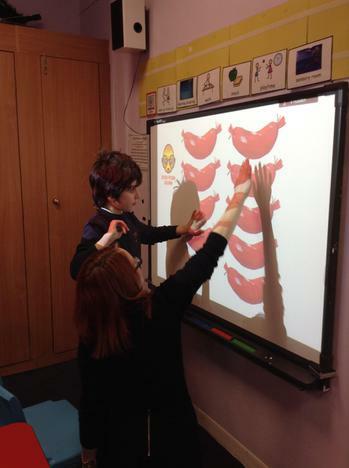 In Aqua class we have been learning about number rhymes and counting activities using number rhymes on the interactive white board. 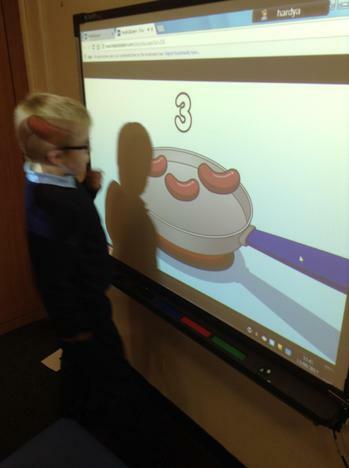 We are able to choose our favourite rhyme using symbols and we are now beginning to control the rhyme more independently using the touch screen. 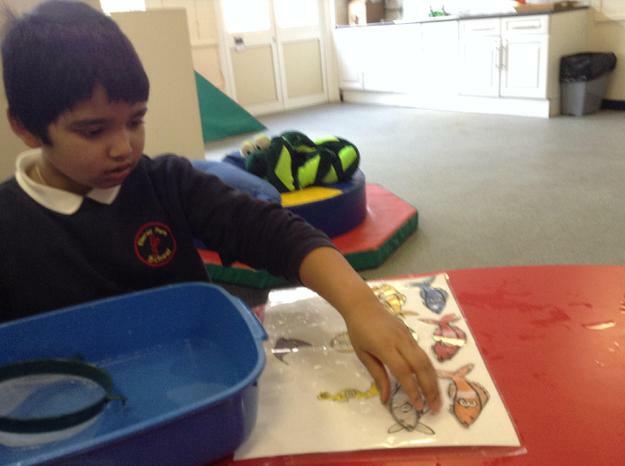 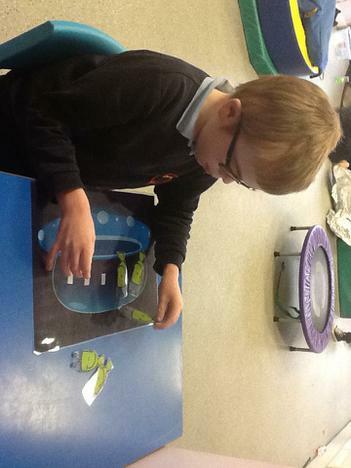 We have also been singing the number rhyme '1,2,3,4,5 once I caught a fish alive' whilst fishing for numbered fish in the water. 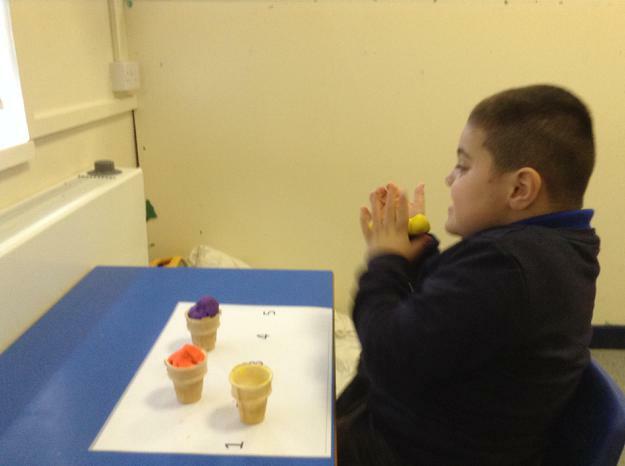 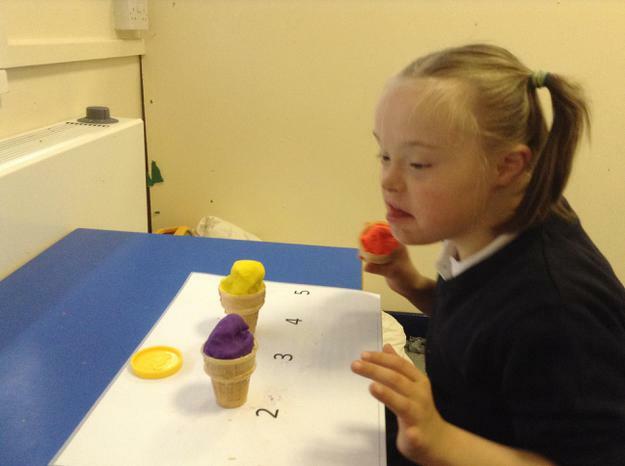 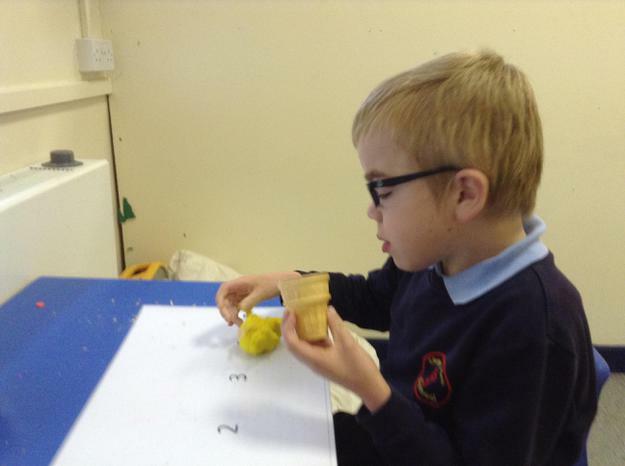 We have also been exploring playdough ice creams this week whilst singing the number rhyme '5 ice creams in a seaside cart'. 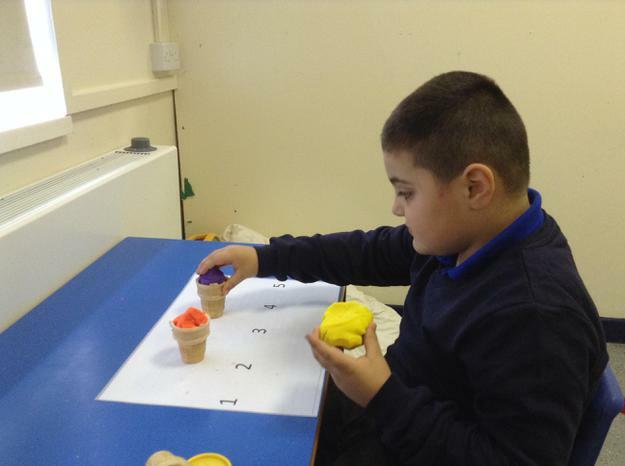 The children have become really familiar with the rhyme and have started to complete the actions more independently as the week has gone on. 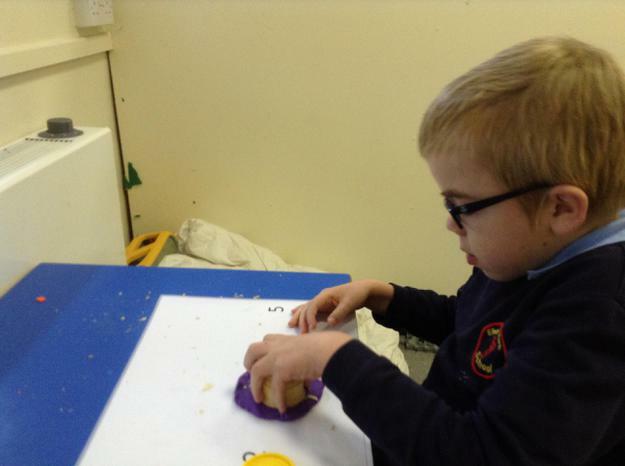 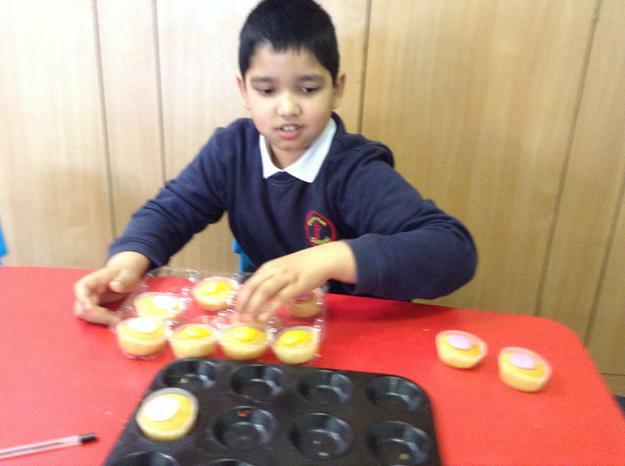 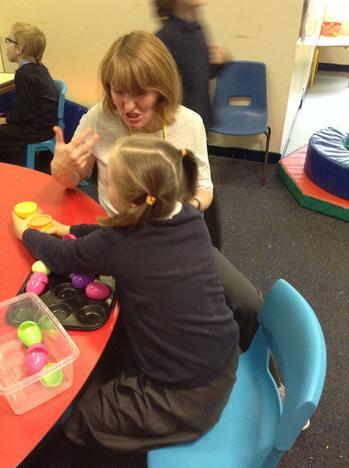 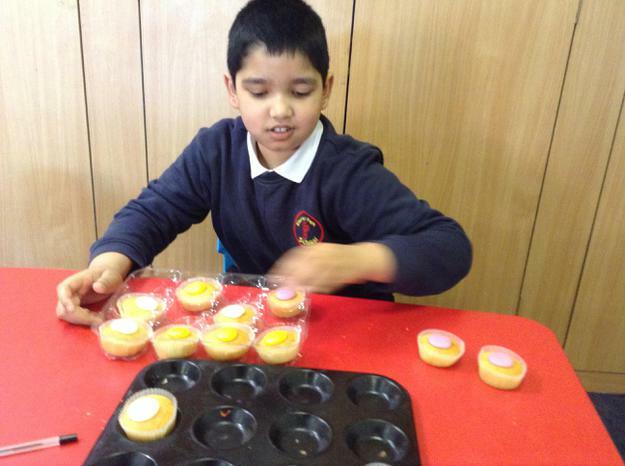 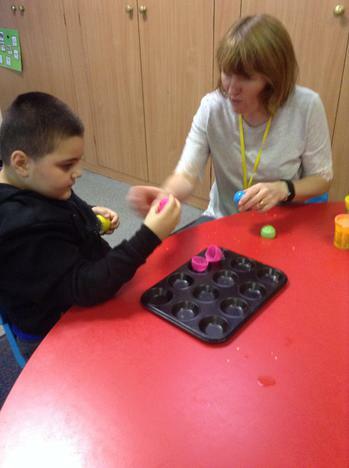 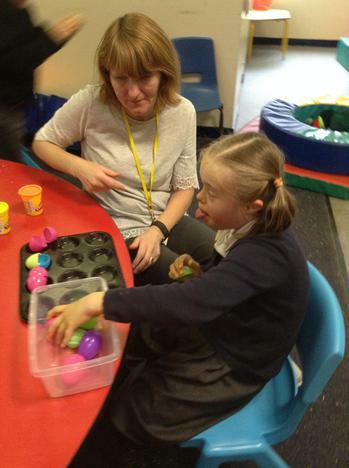 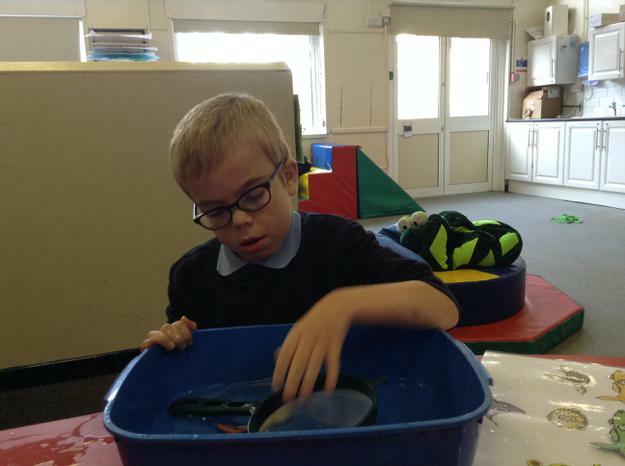 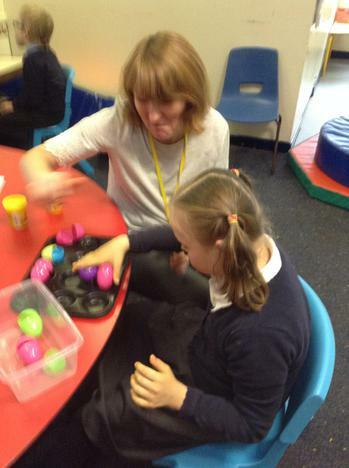 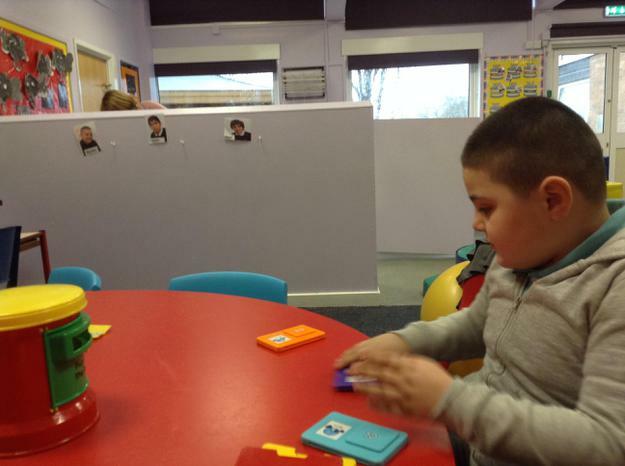 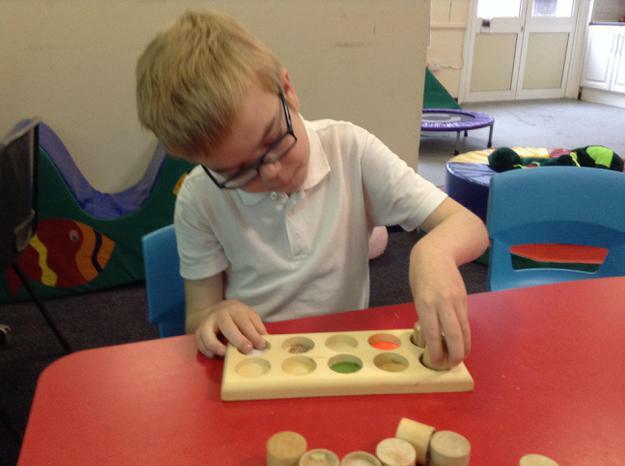 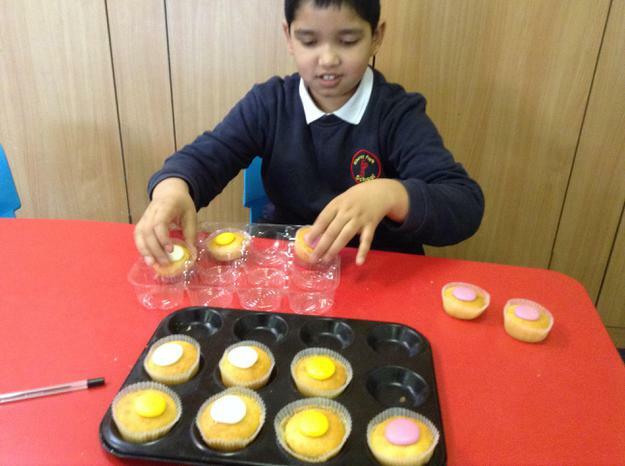 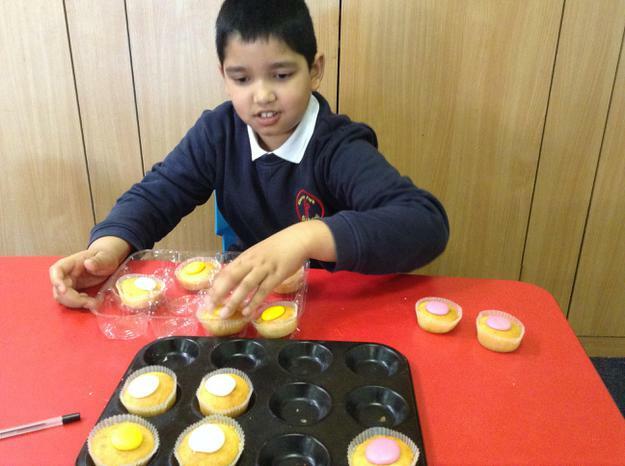 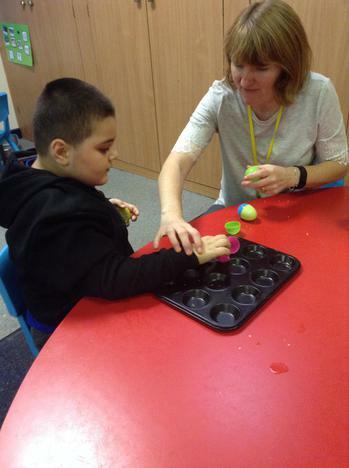 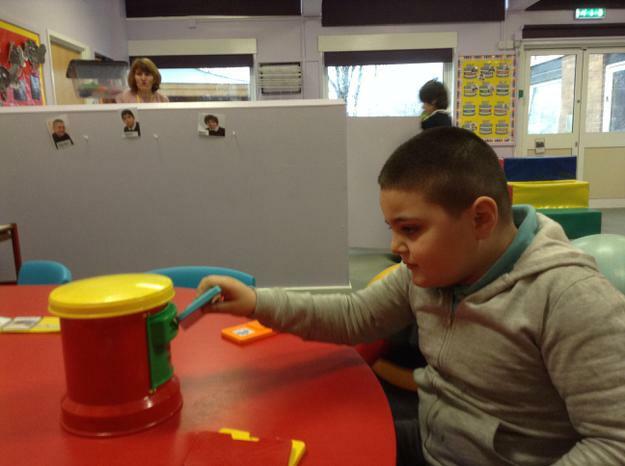 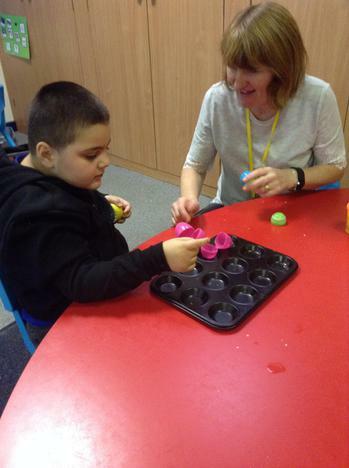 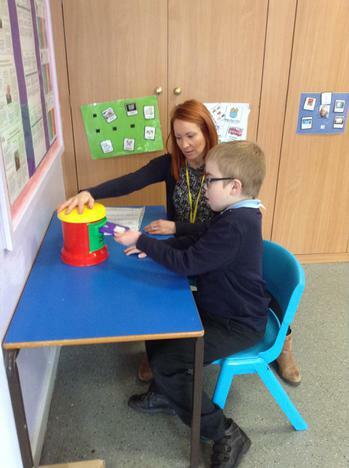 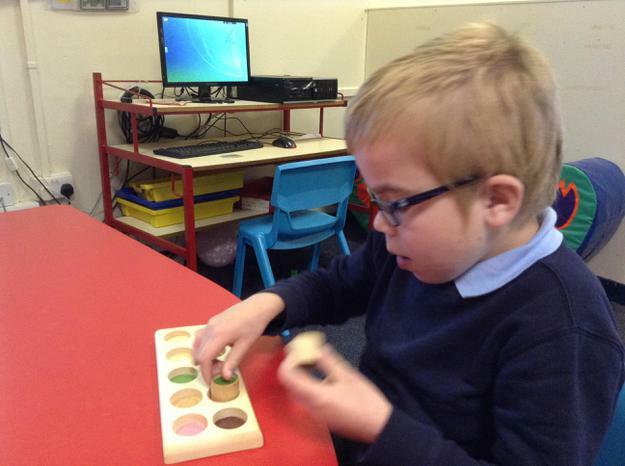 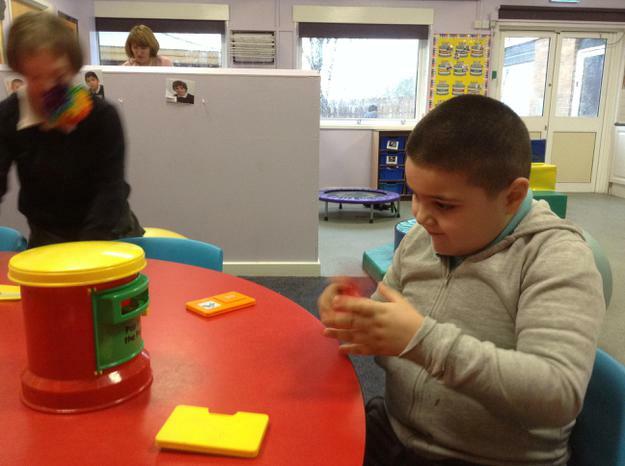 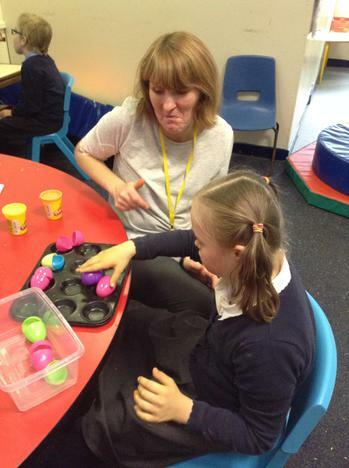 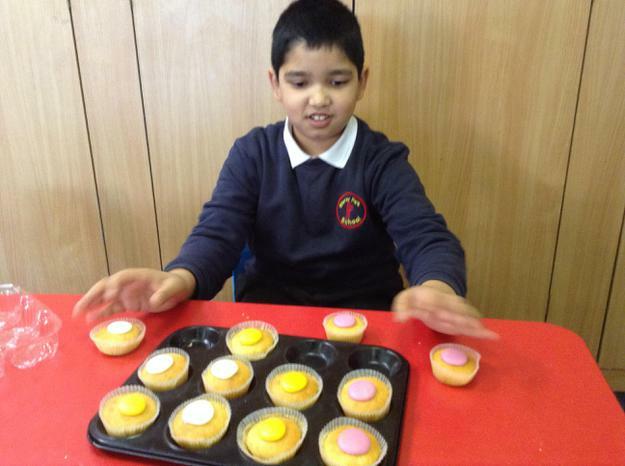 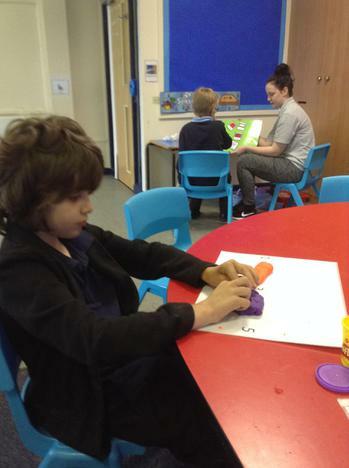 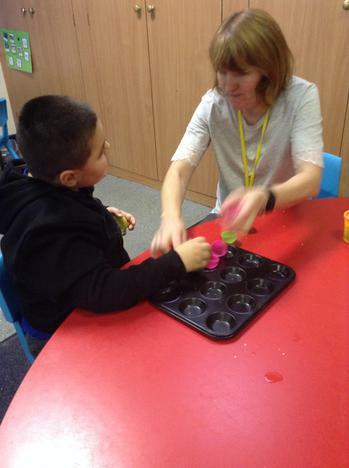 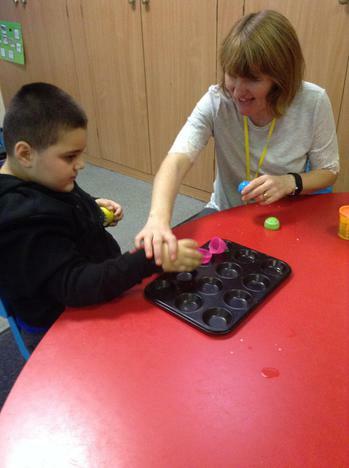 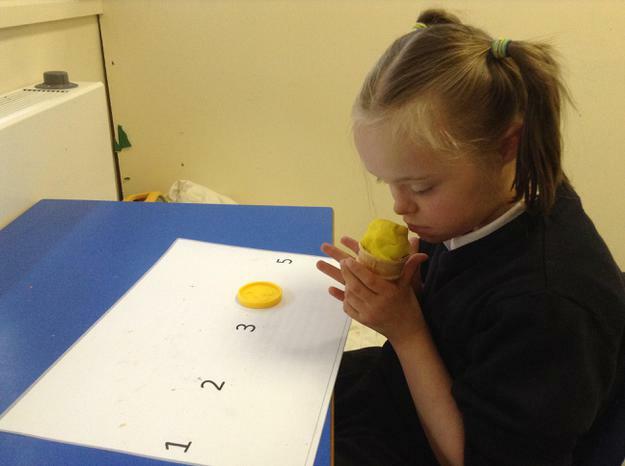 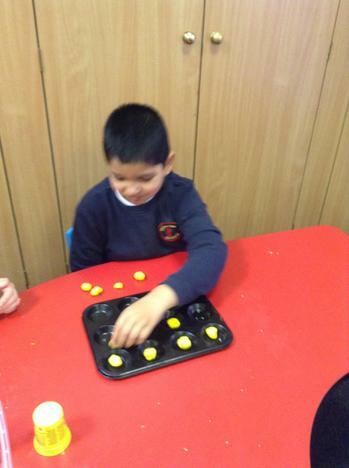 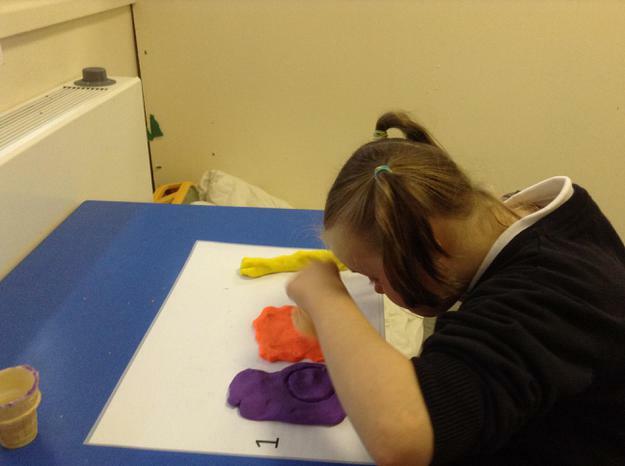 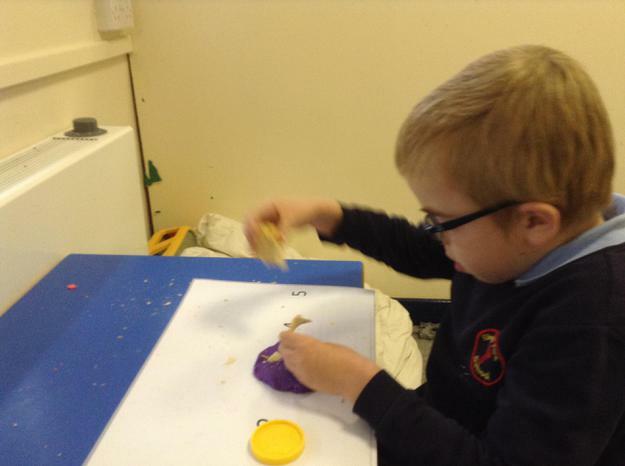 The focus for this term has been about counting using one to one correspondence and we have developed this skill using a range of different activities such as matching objects into spaces using cakes and cake tins, plastic eggs and wooden blocks. 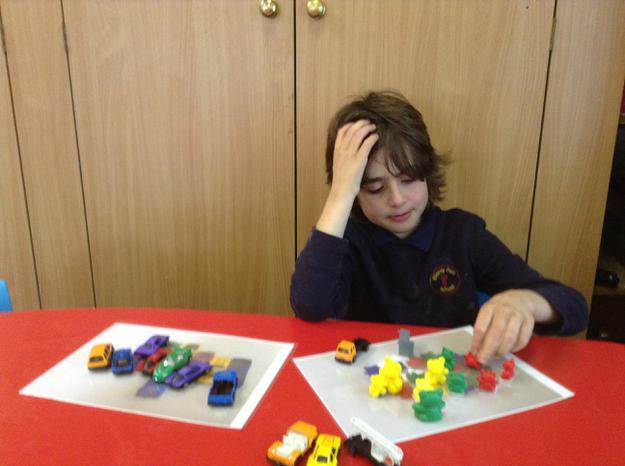 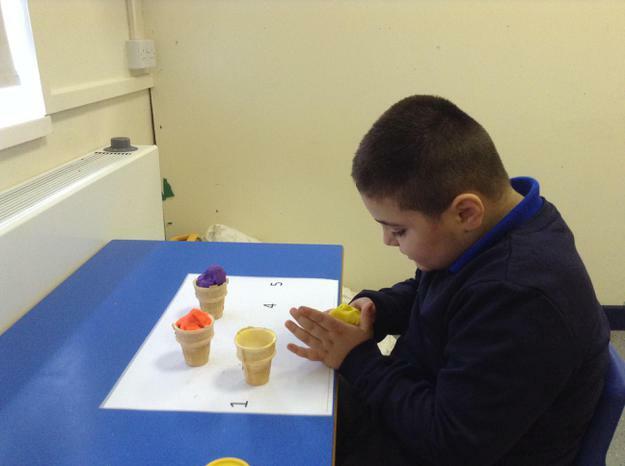 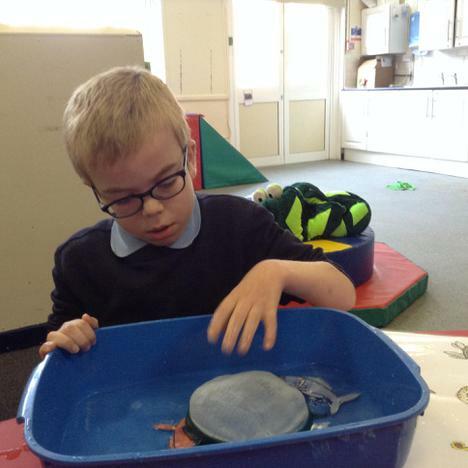 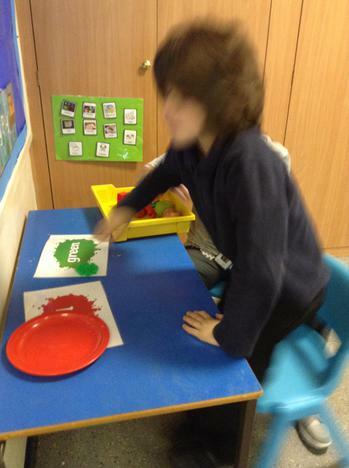 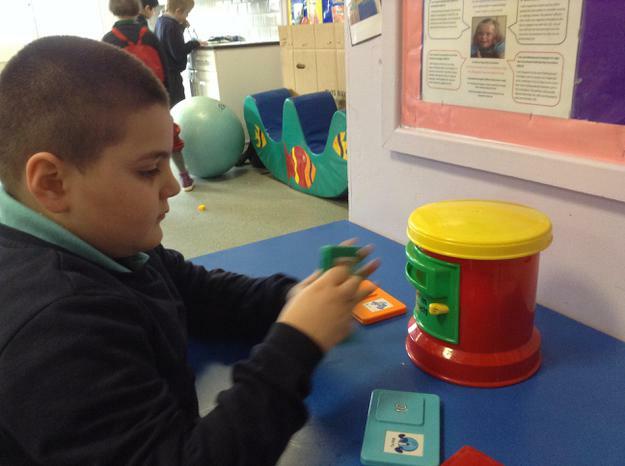 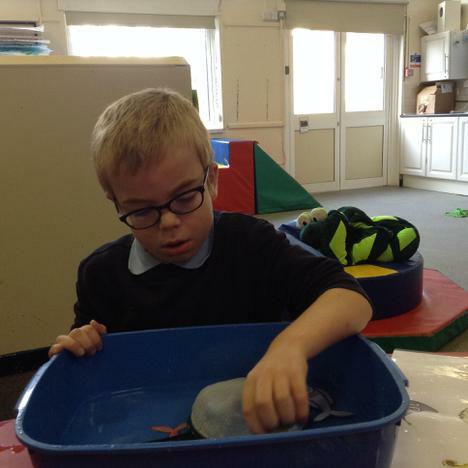 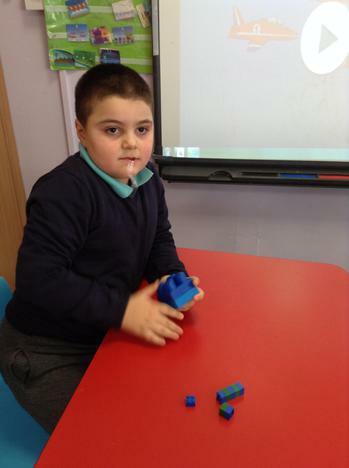 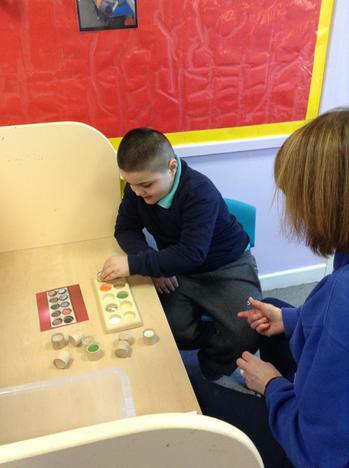 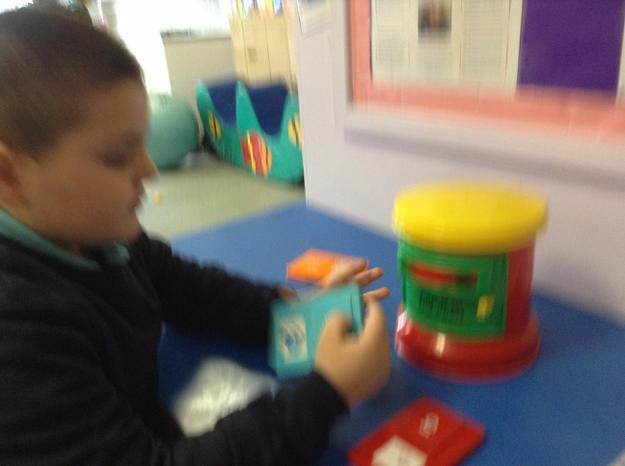 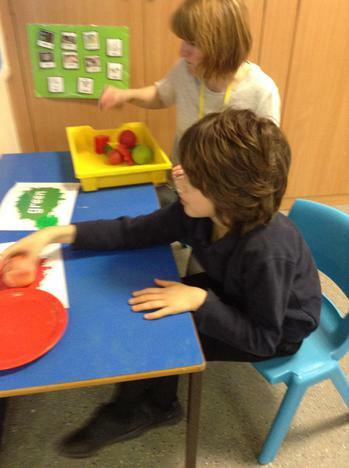 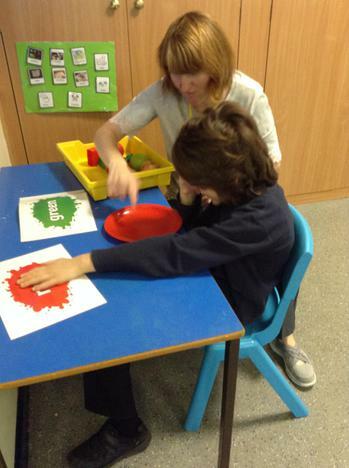 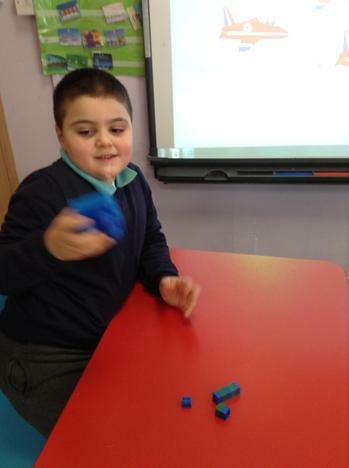 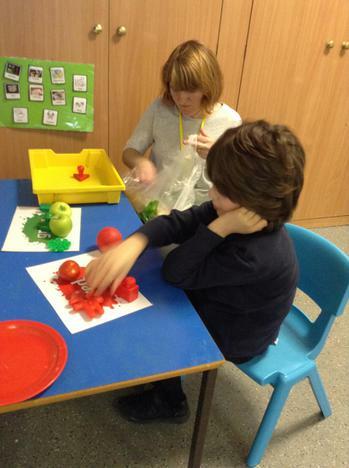 Some of us have also been learning how to sort different objects by colour.